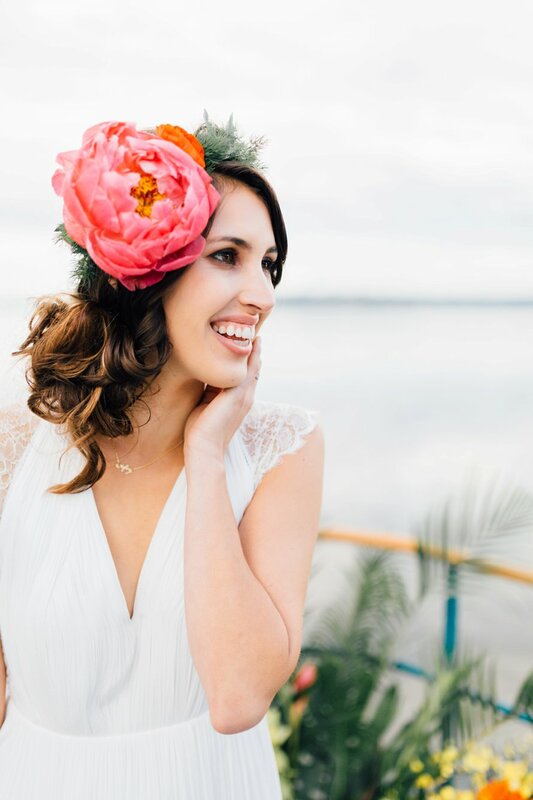 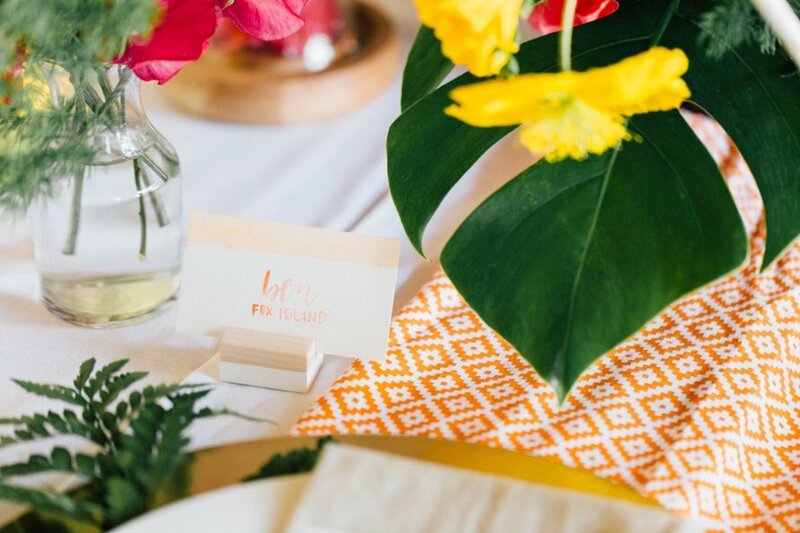 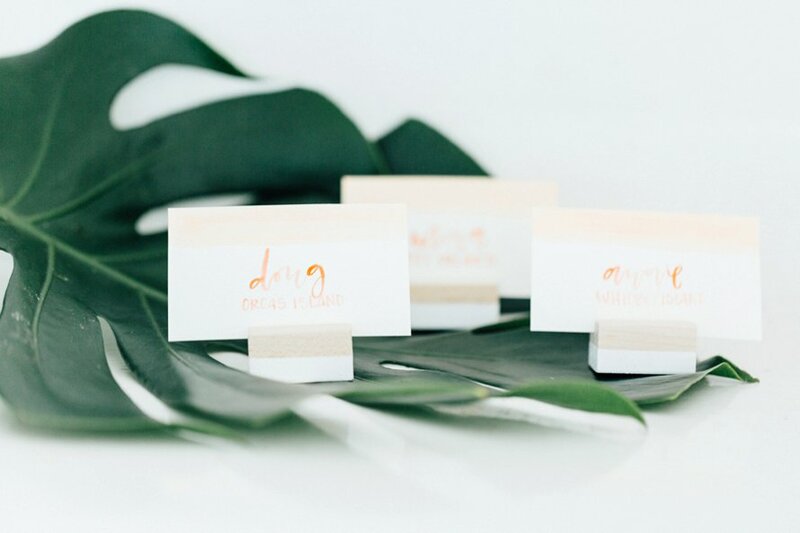 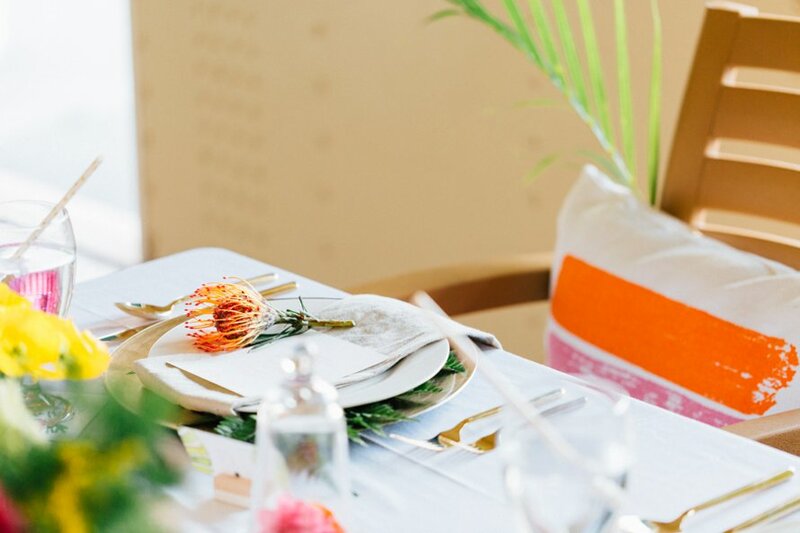 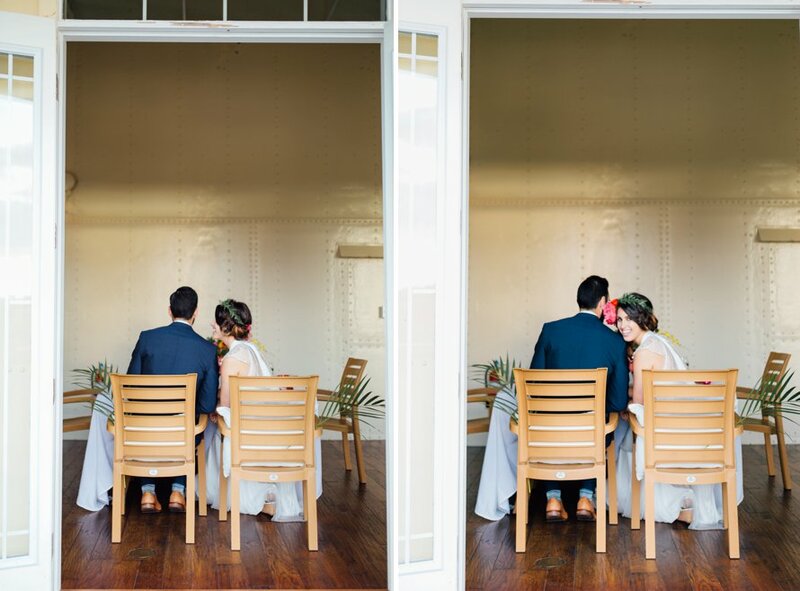 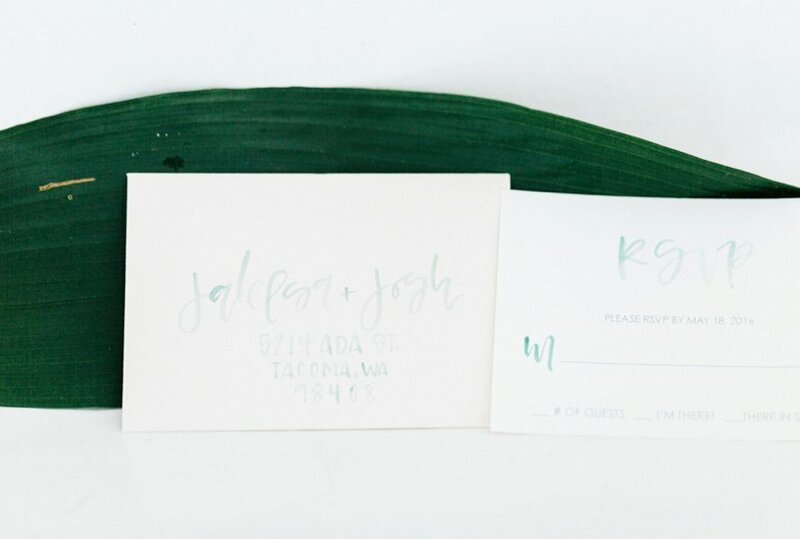 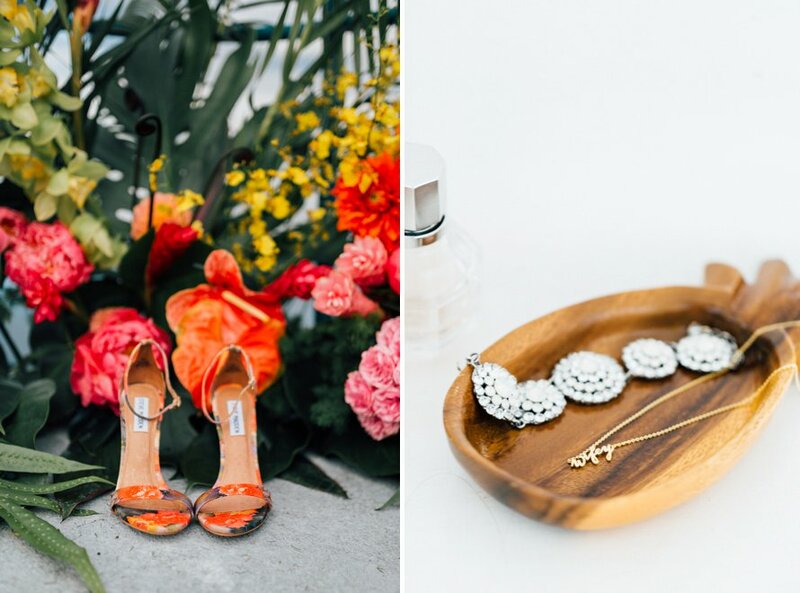 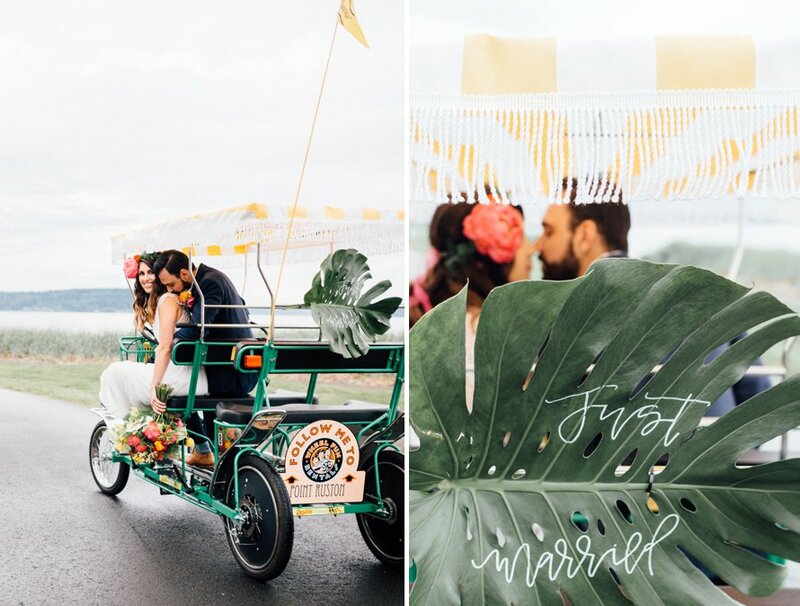 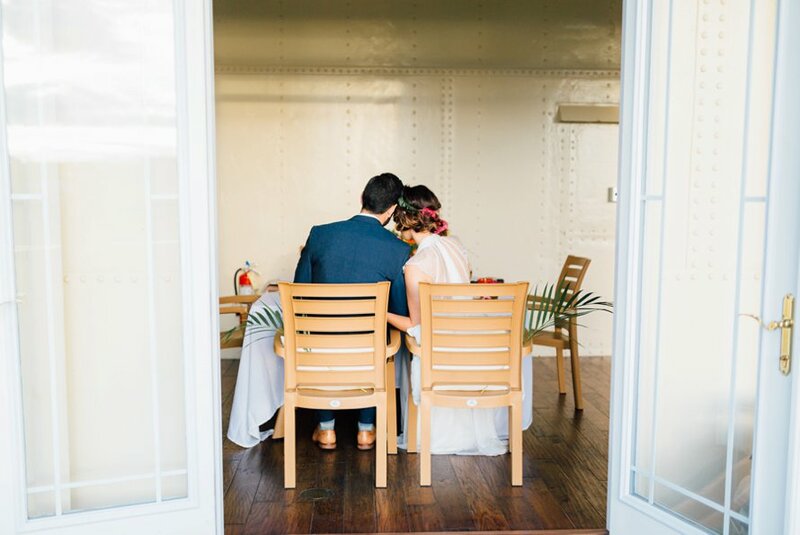 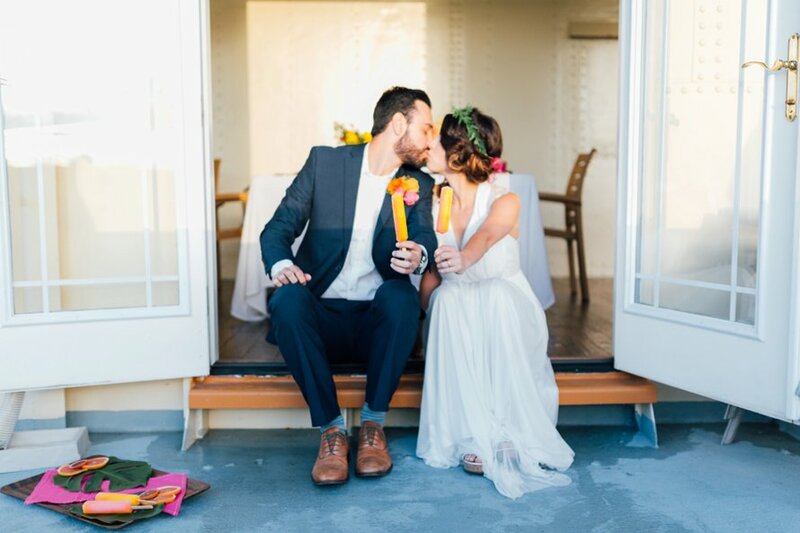 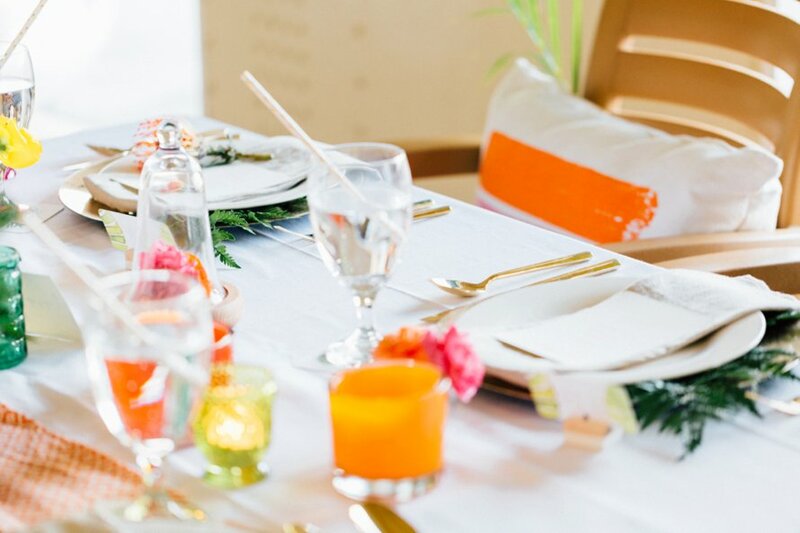 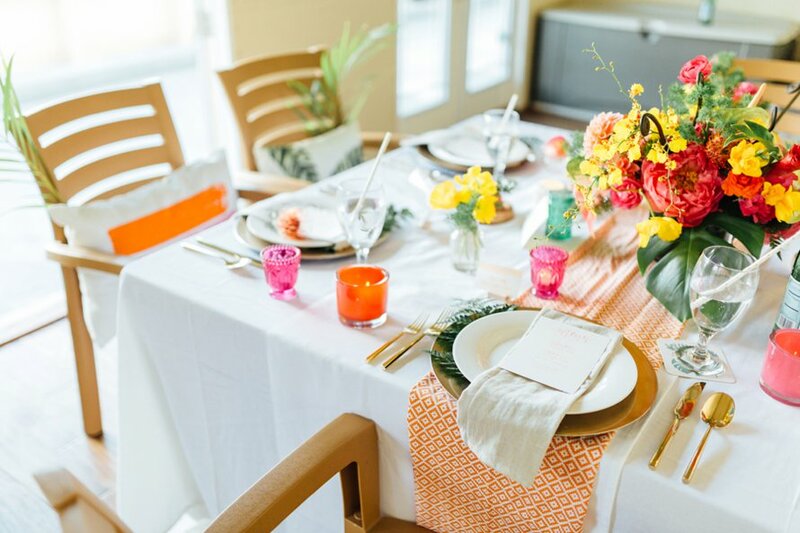 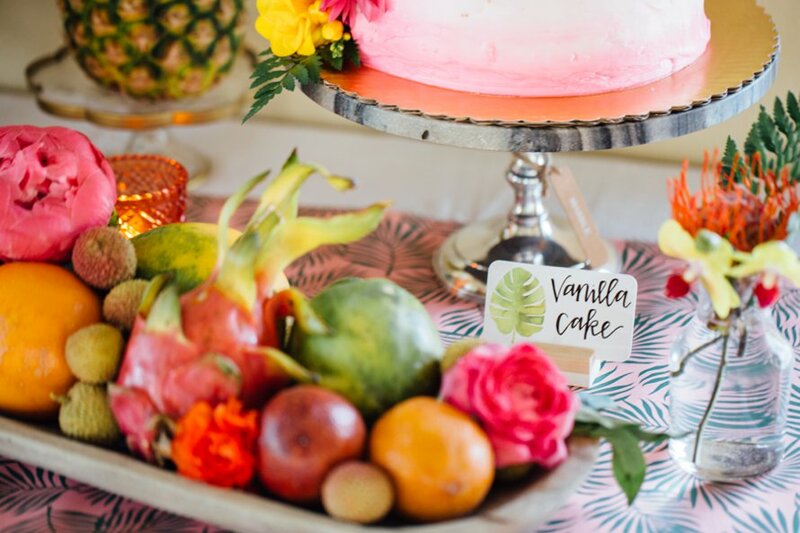 A bright and airy modern tropics theme, this nuptial inspiration shoot took place close to home but felt like we were worlds away! 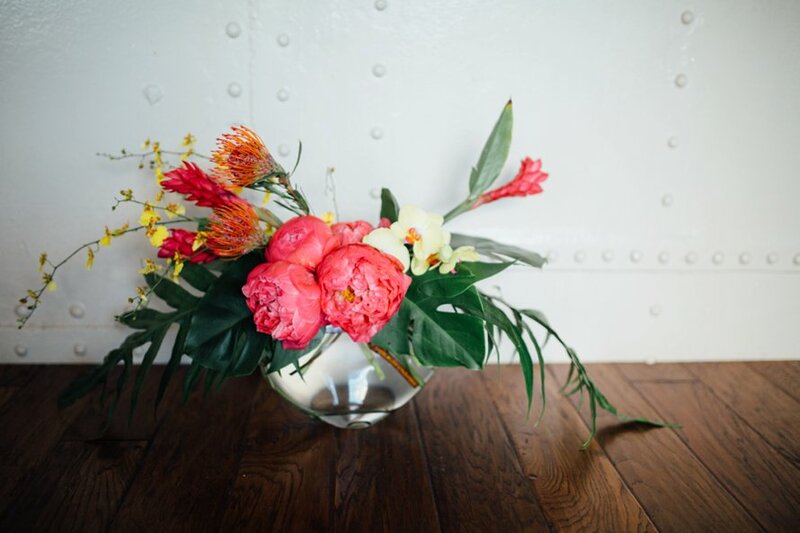 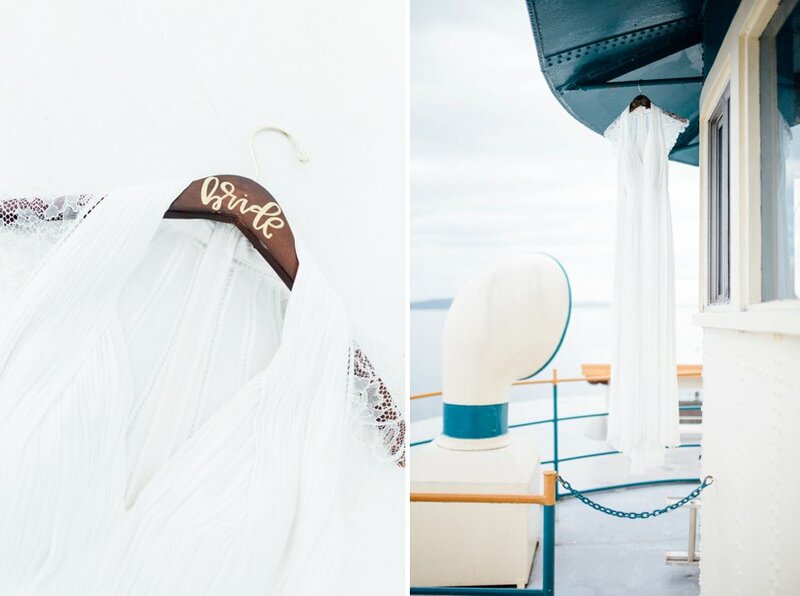 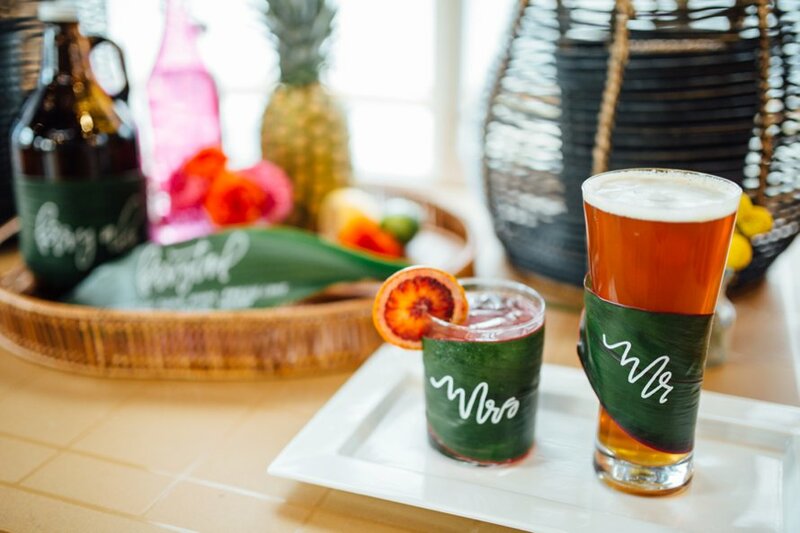 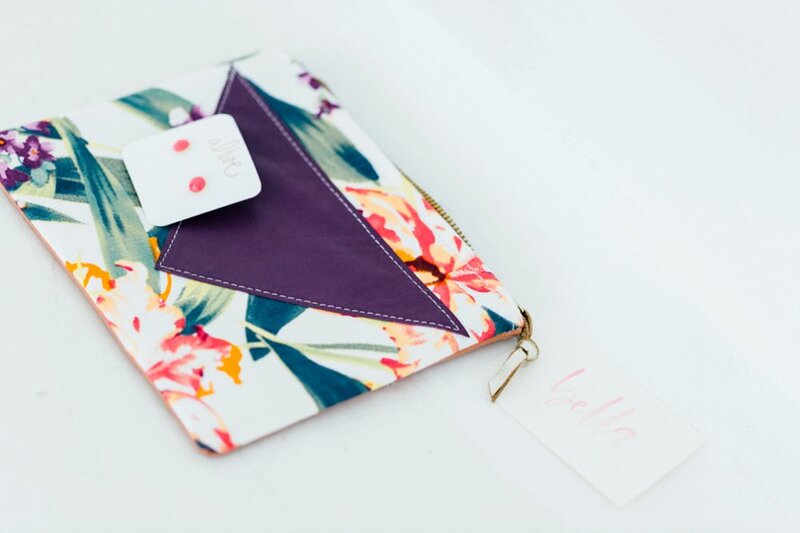 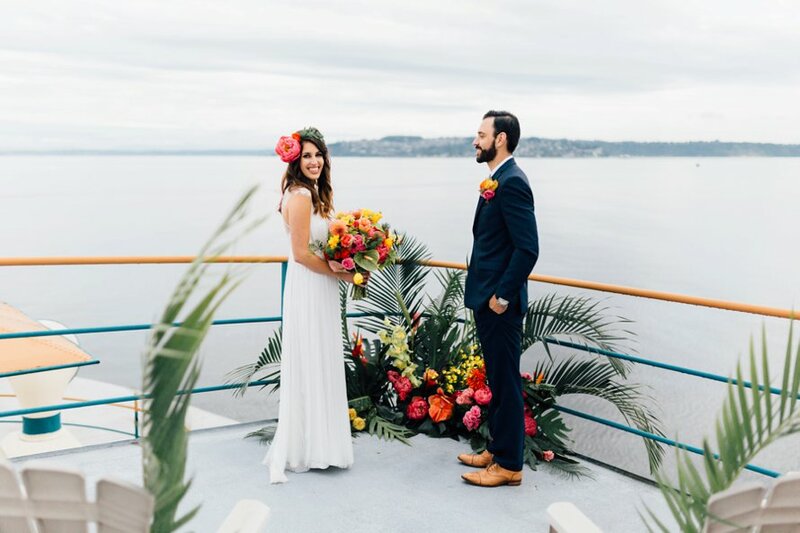 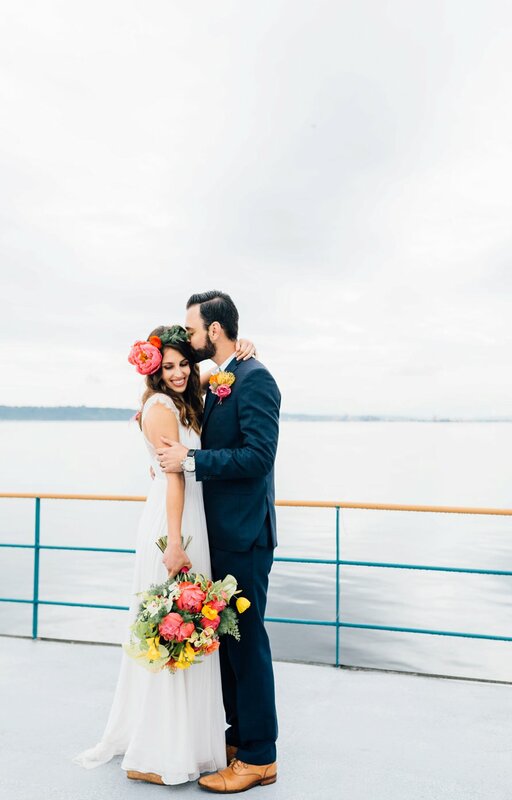 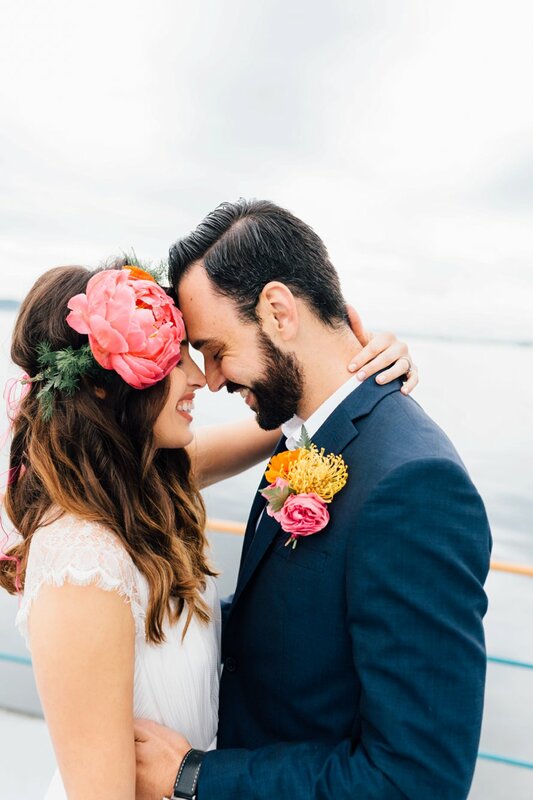 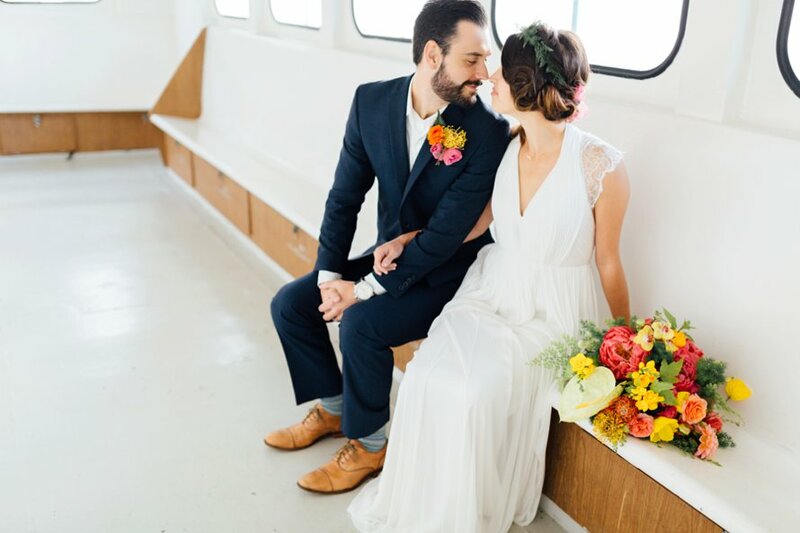 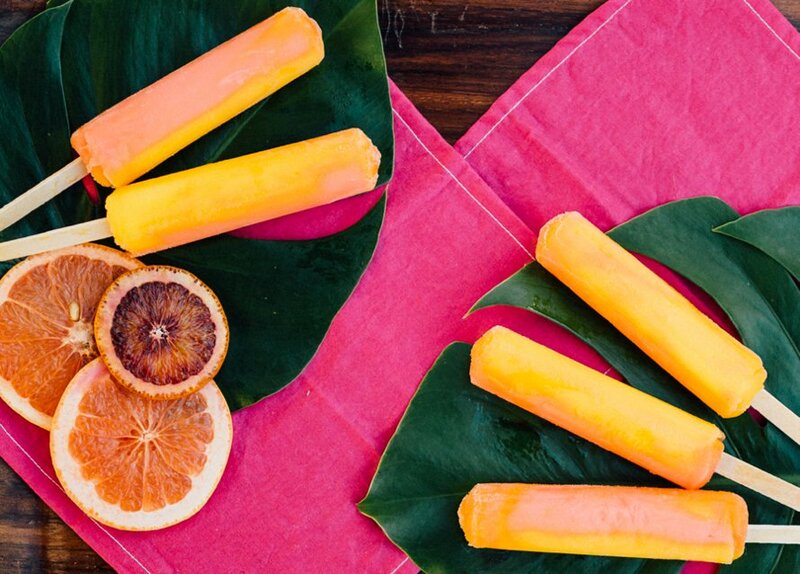 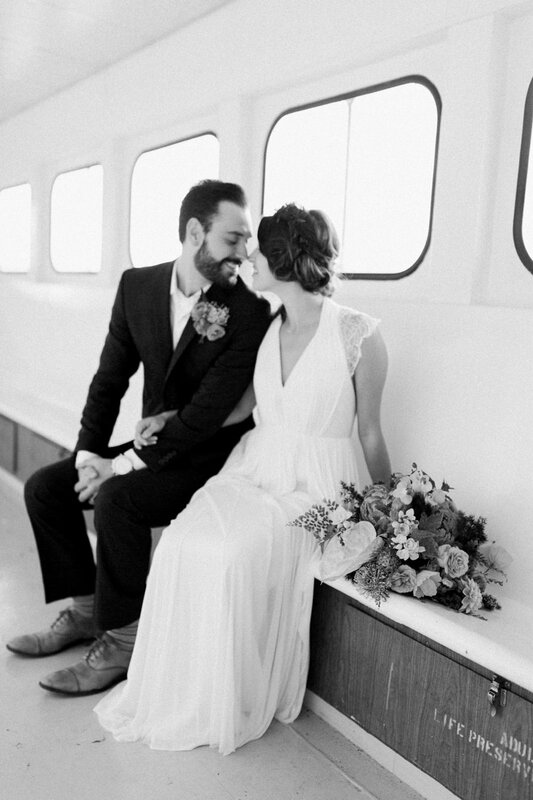 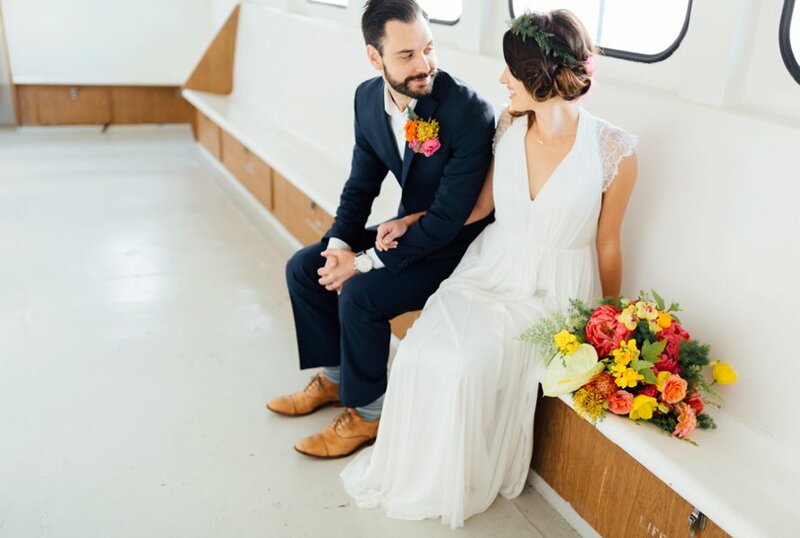 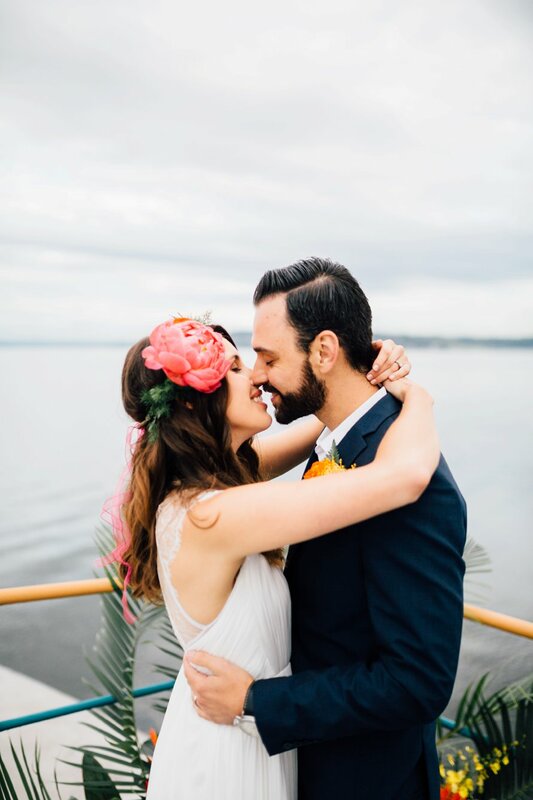 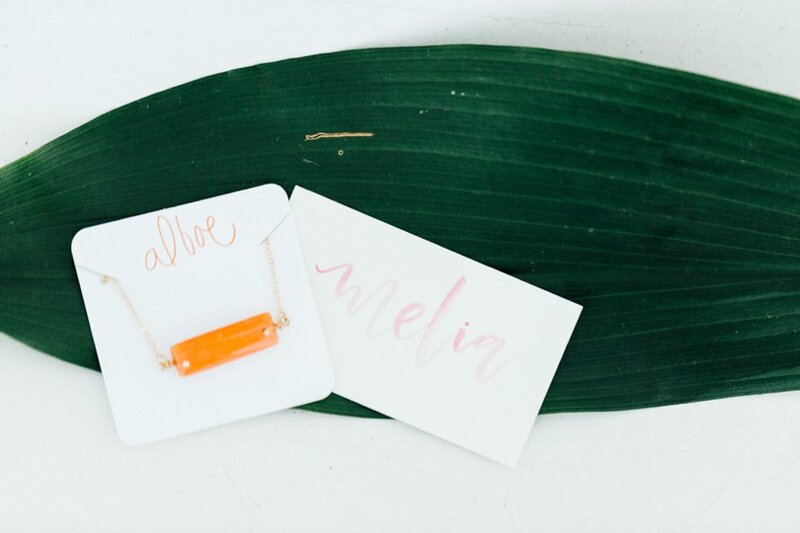 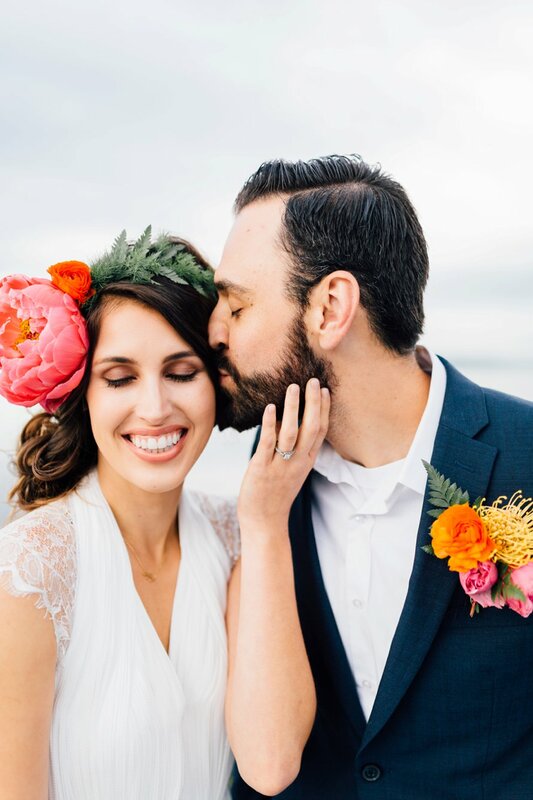 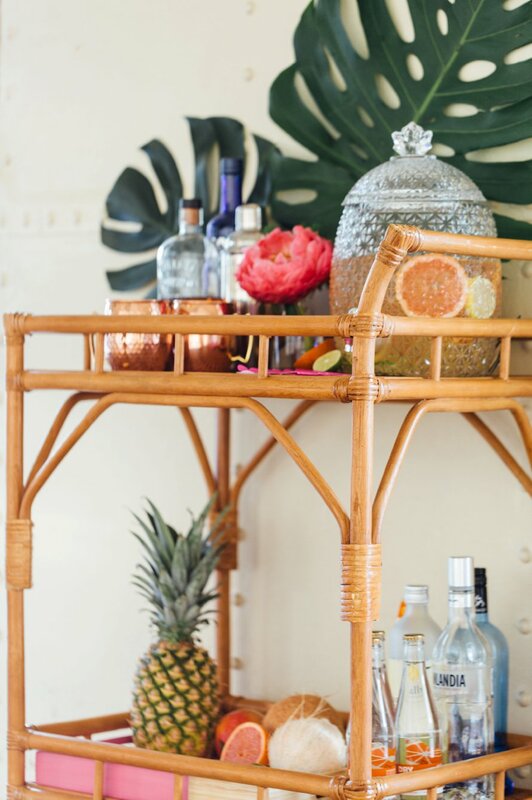 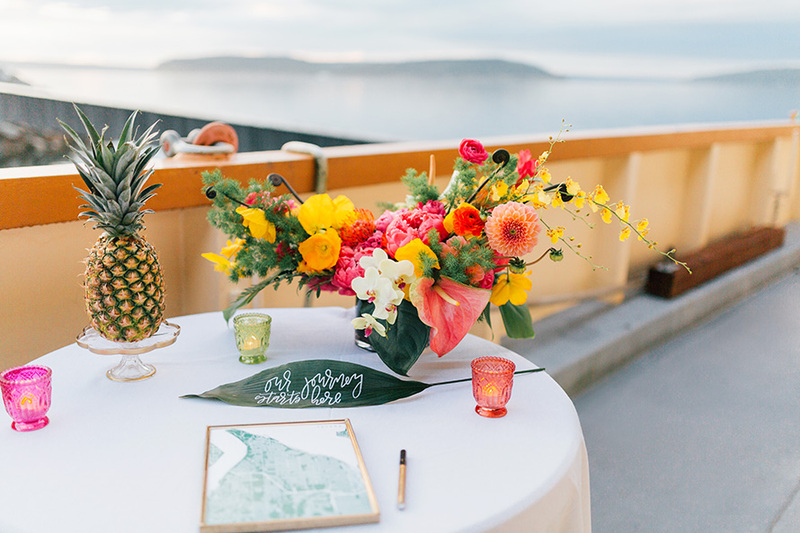 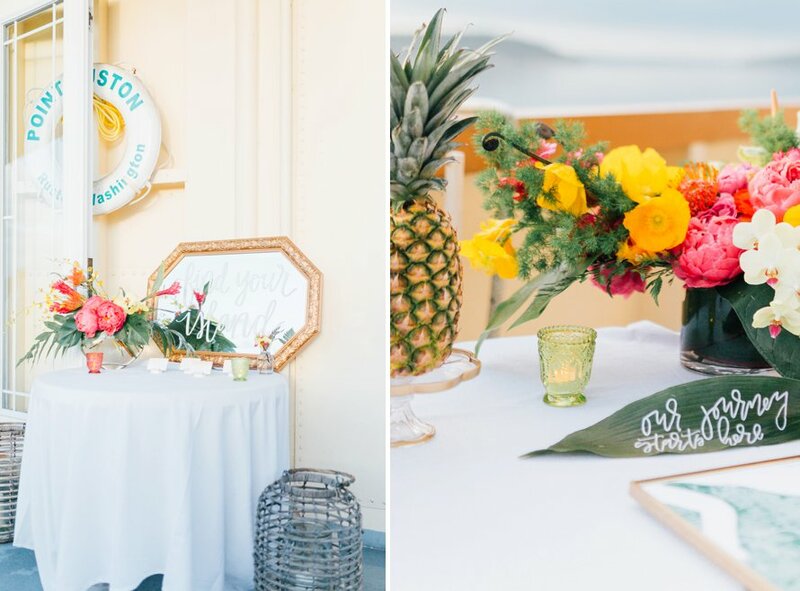 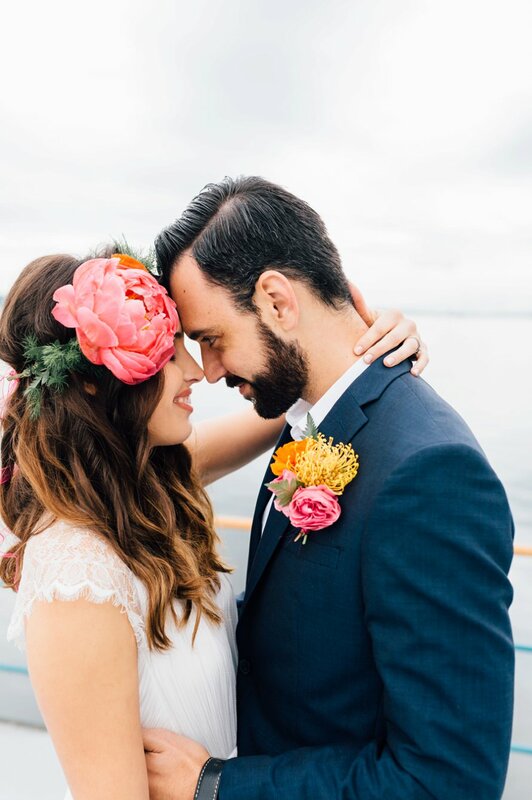 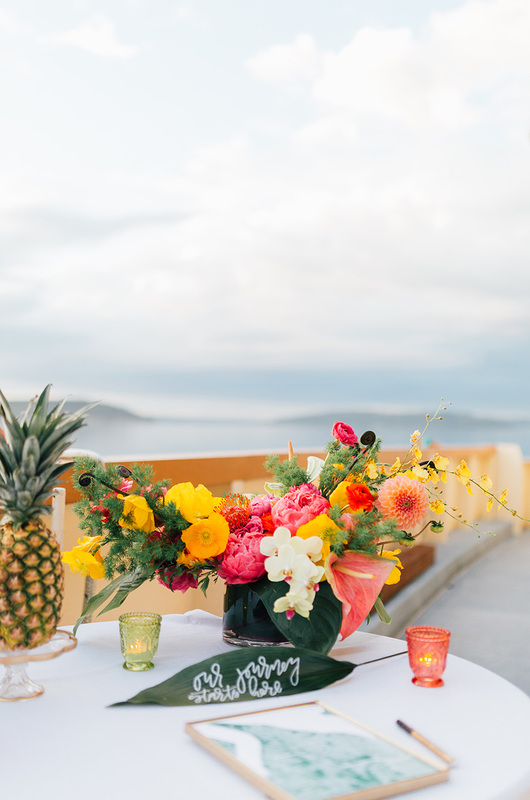 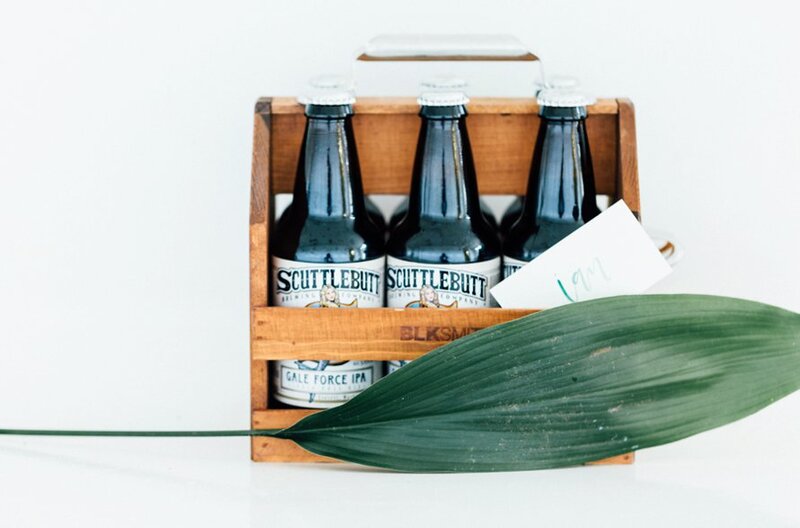 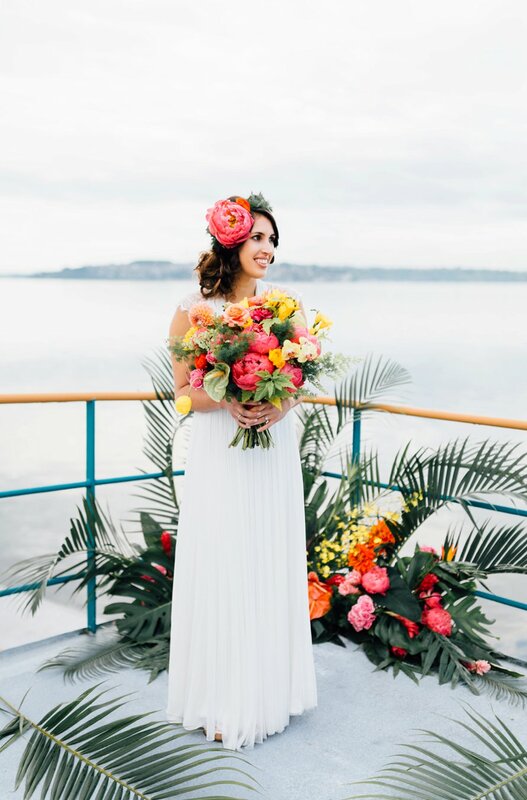 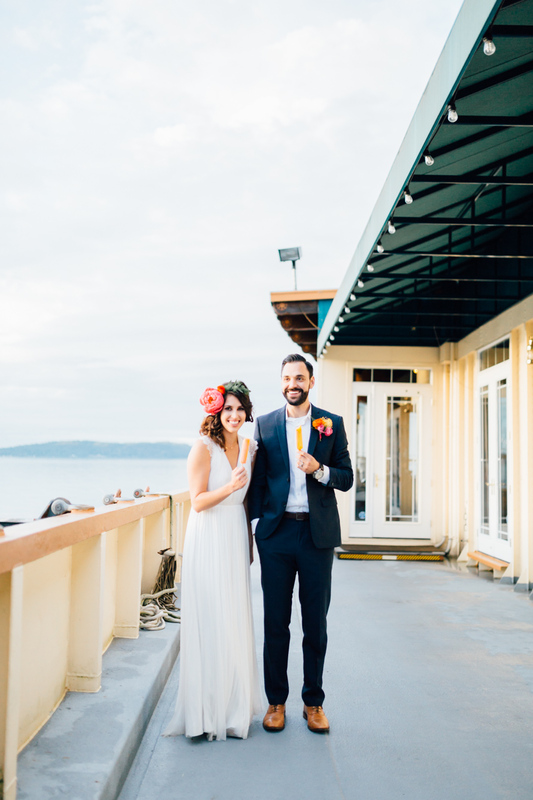 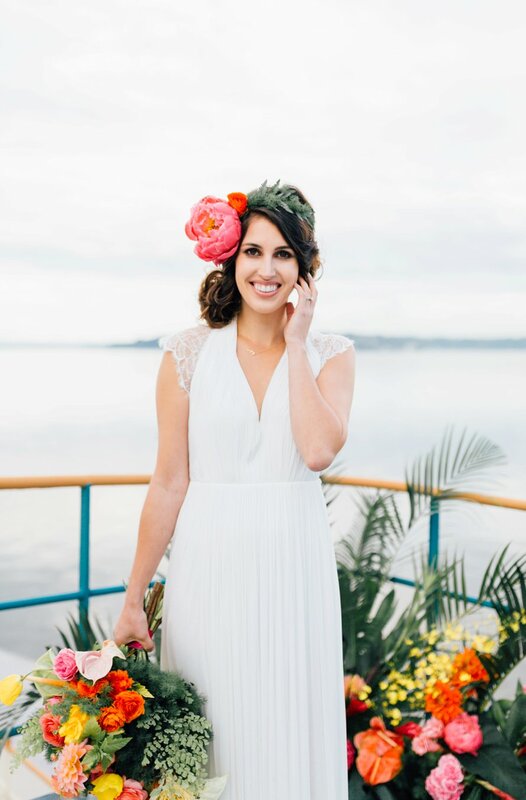 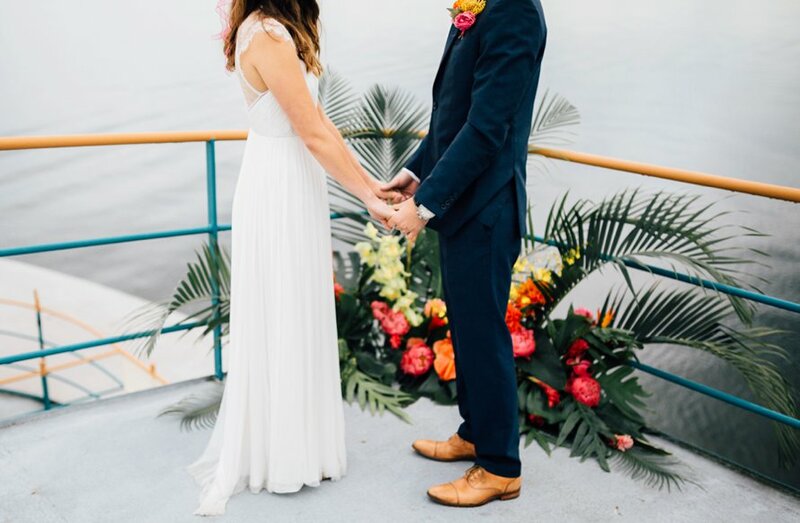 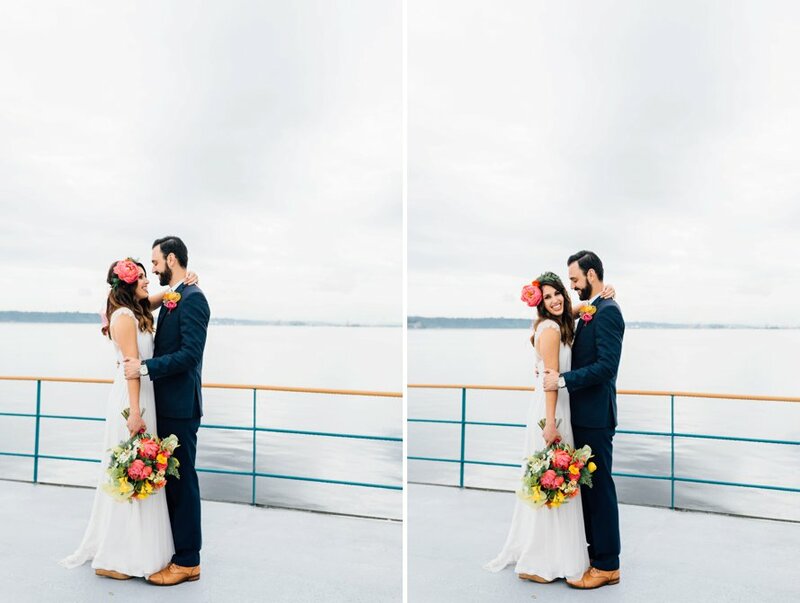 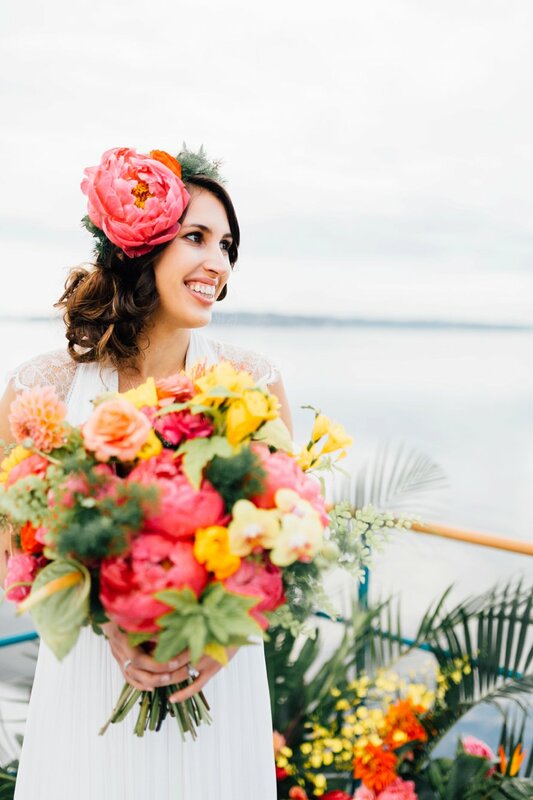 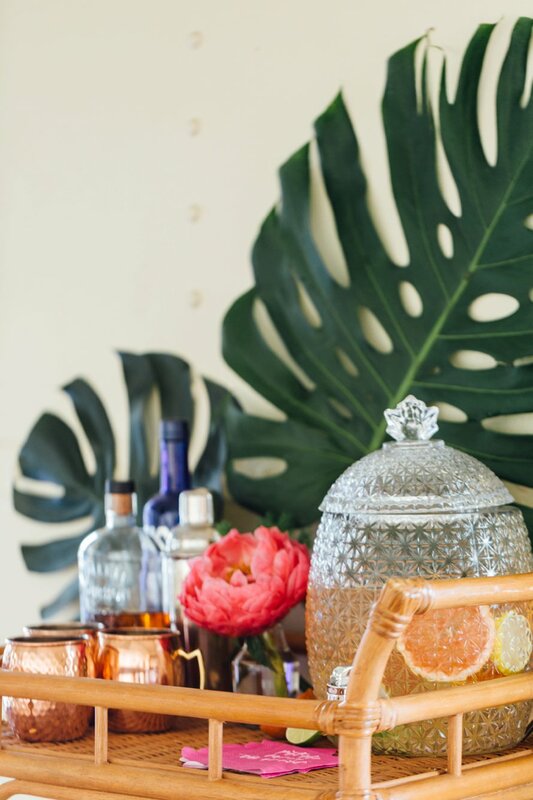 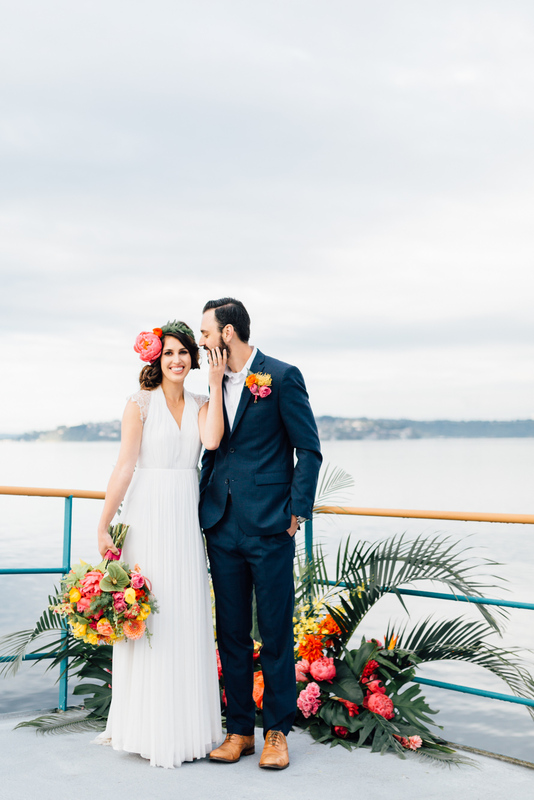 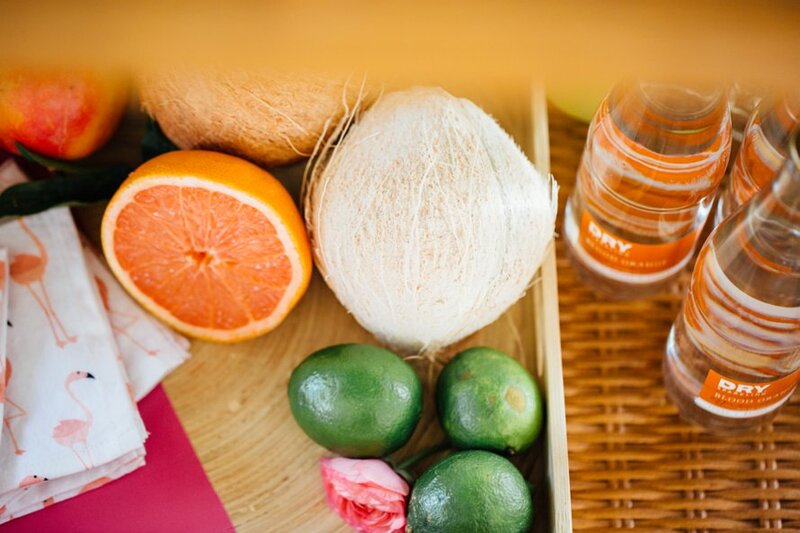 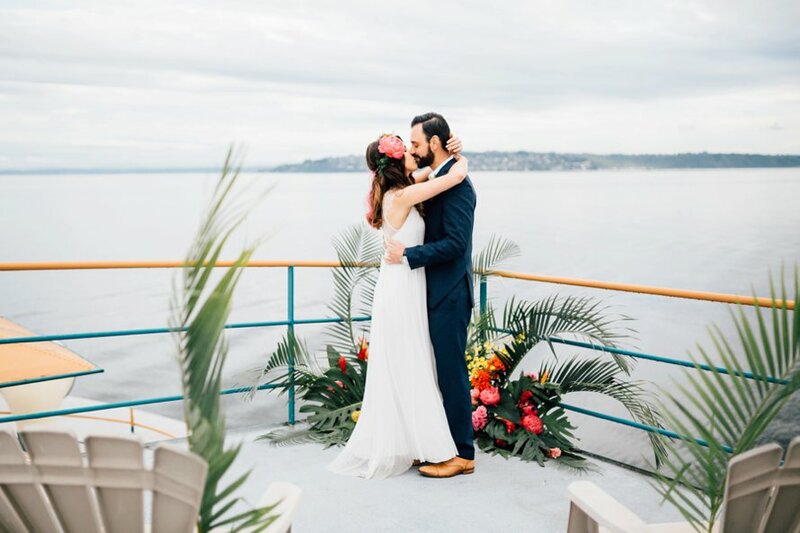 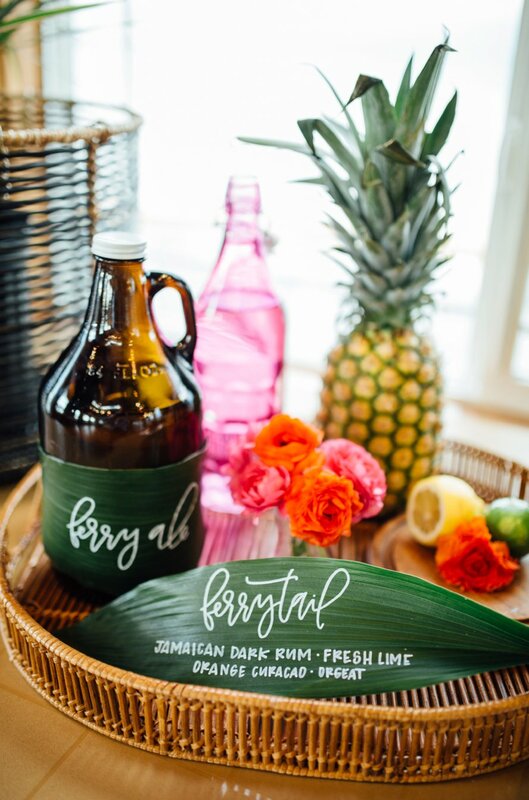 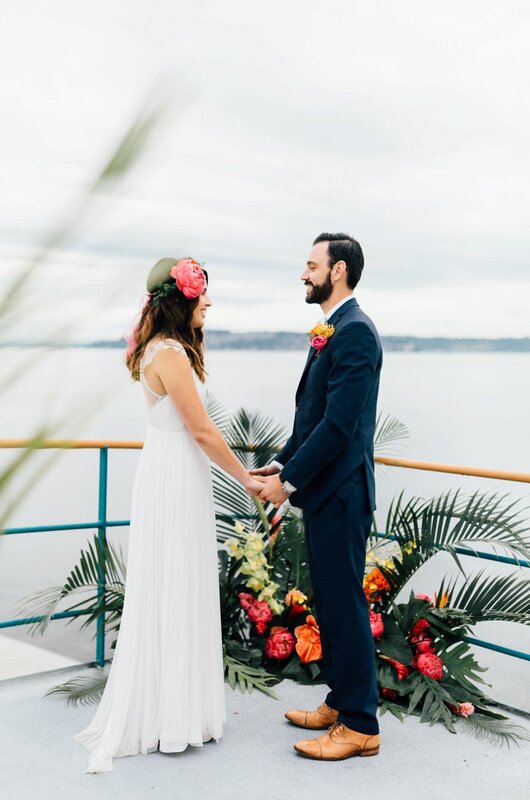 Held aboard Tacoma's storied Point Ruston Ferry, this collaboration was inspired by the windswept shore, the surrounding Puget Sound islands & all things tropic! 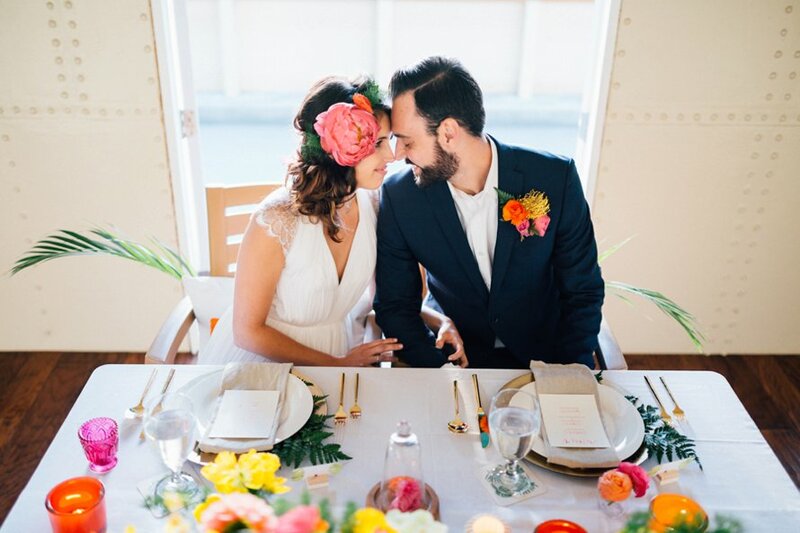 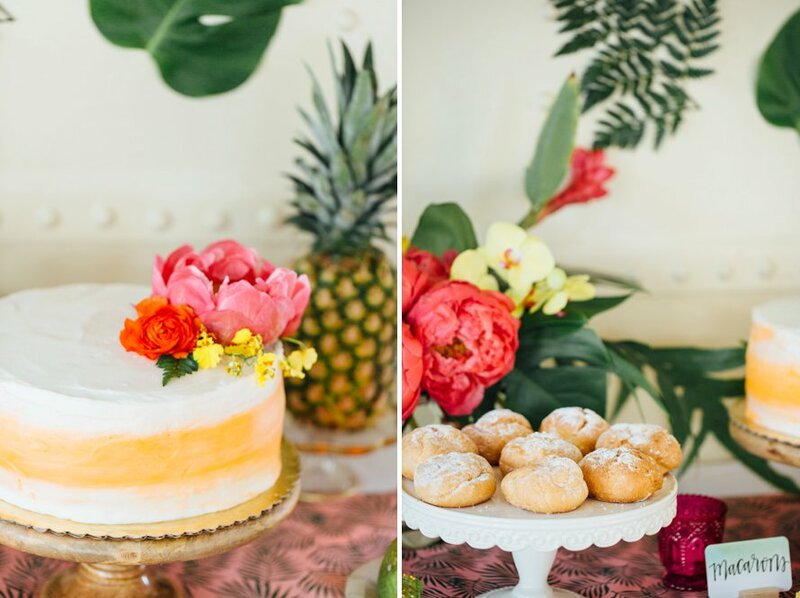 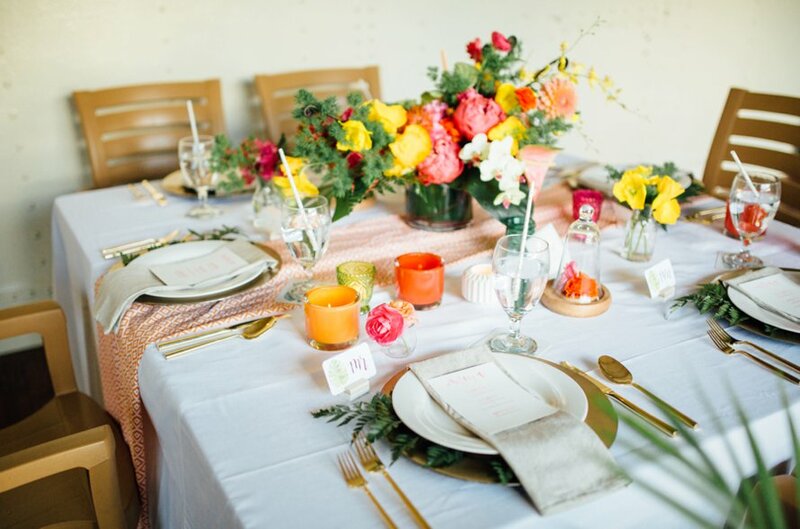 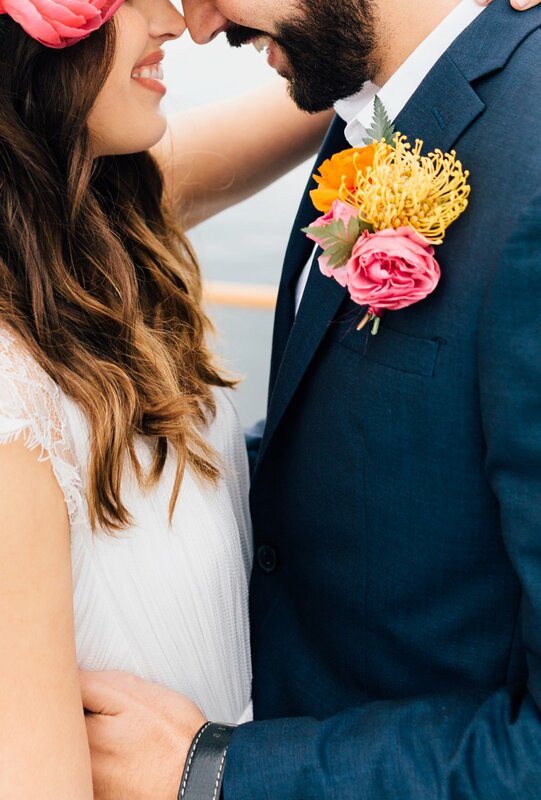 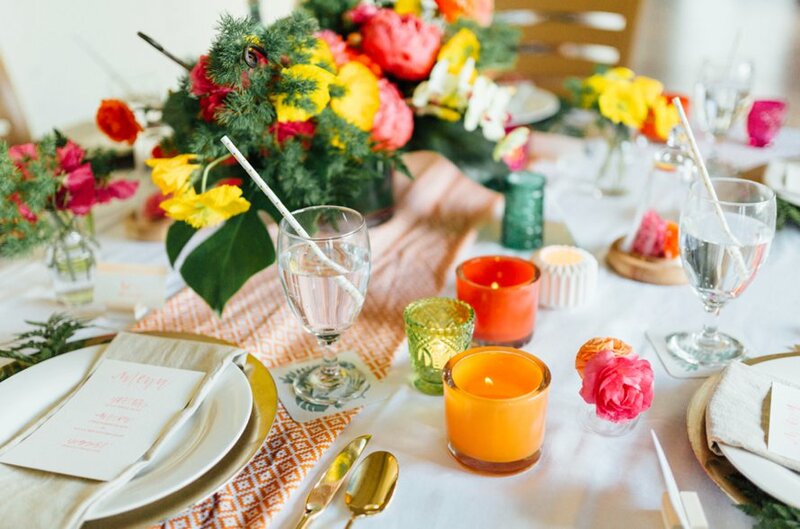 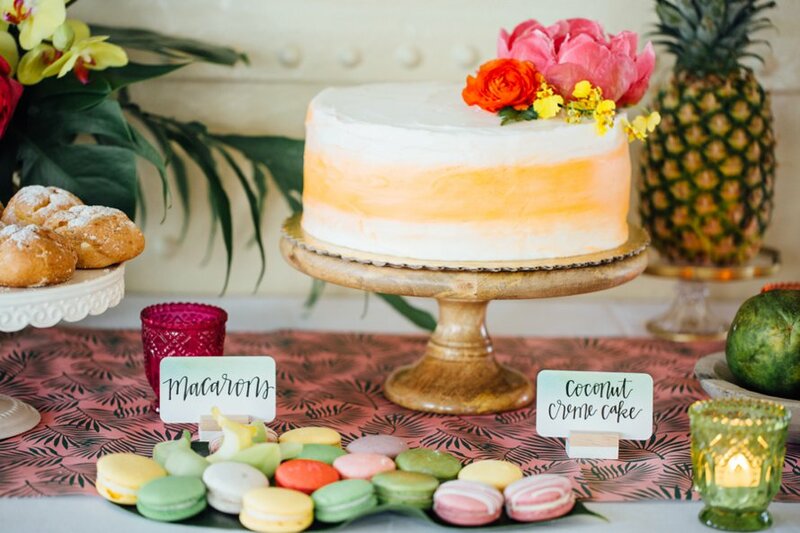 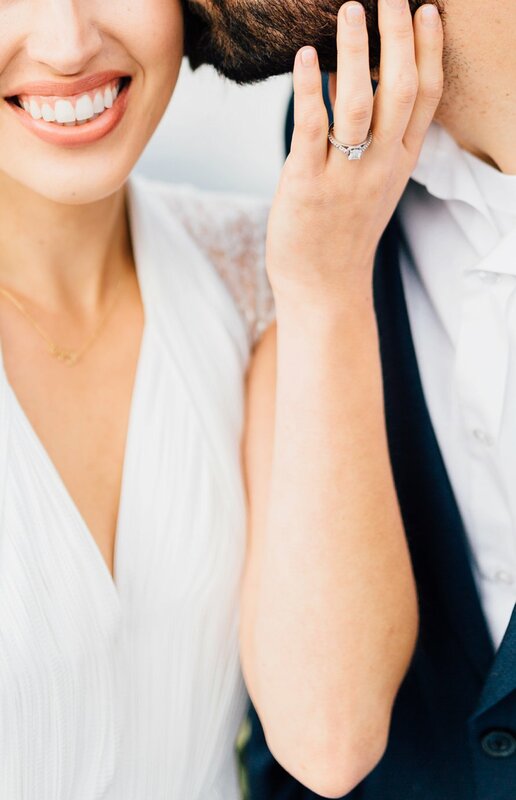 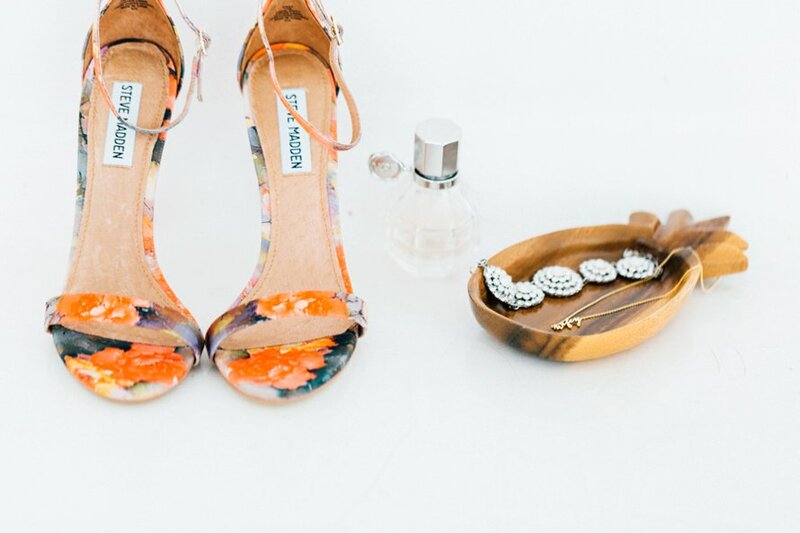 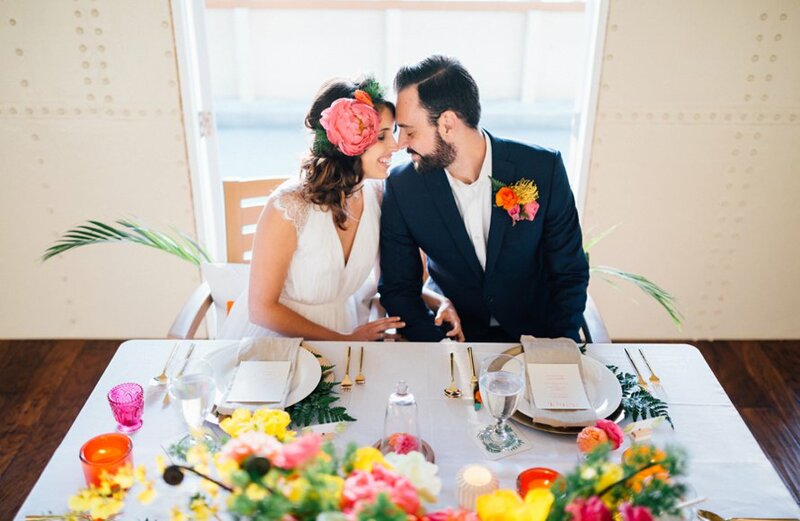 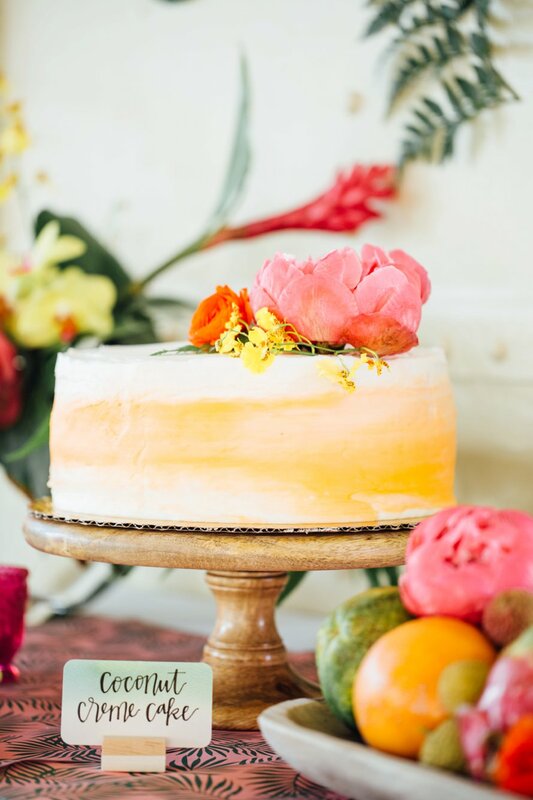 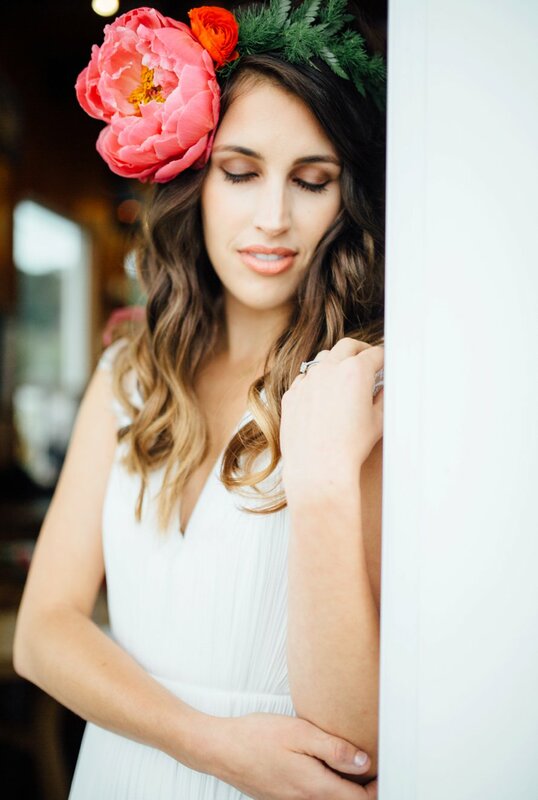 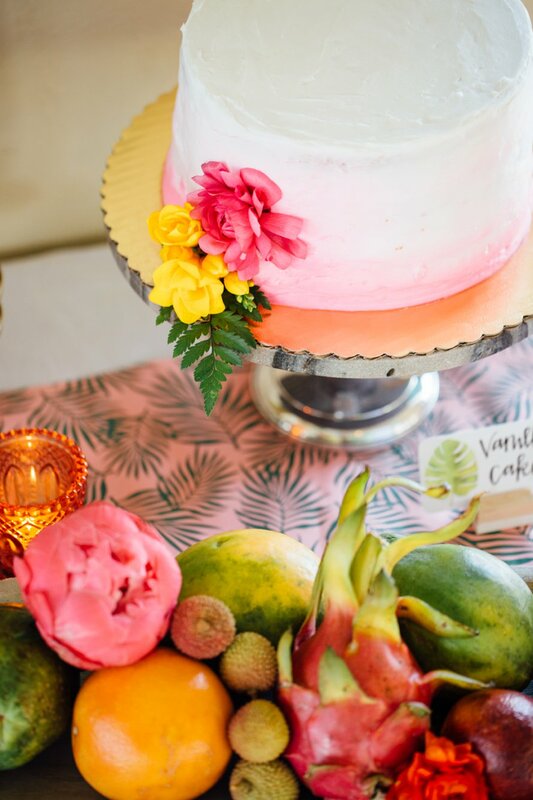 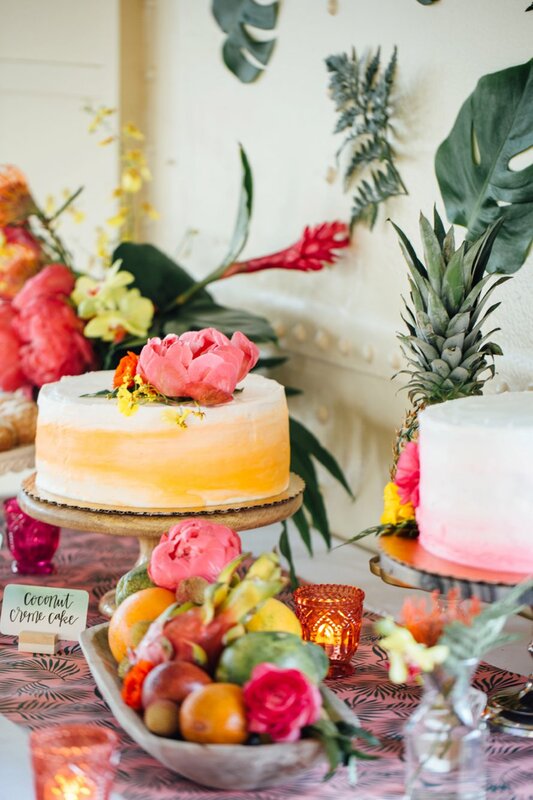 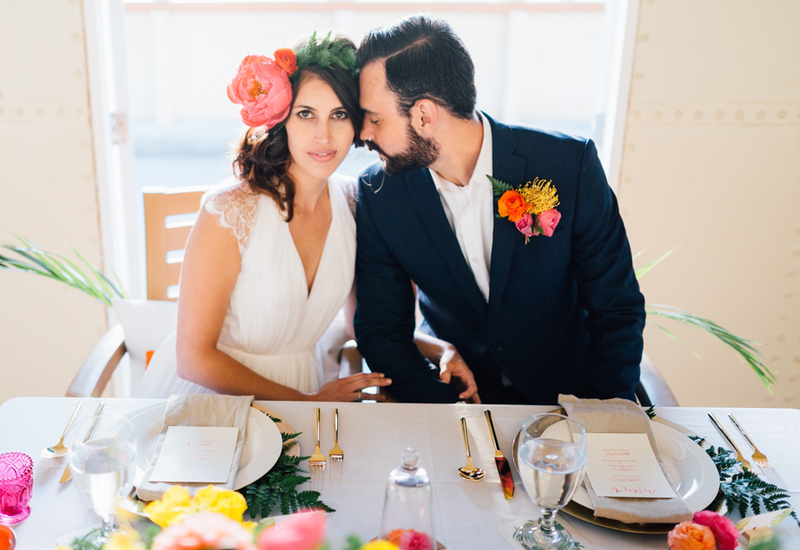 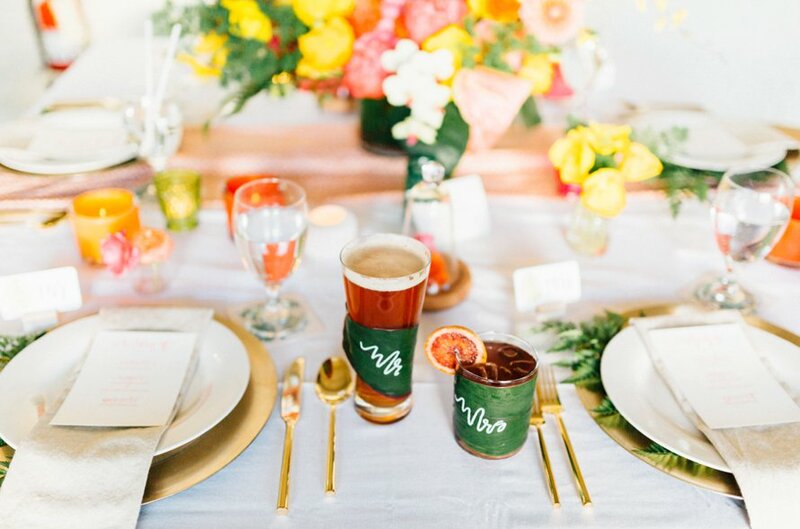 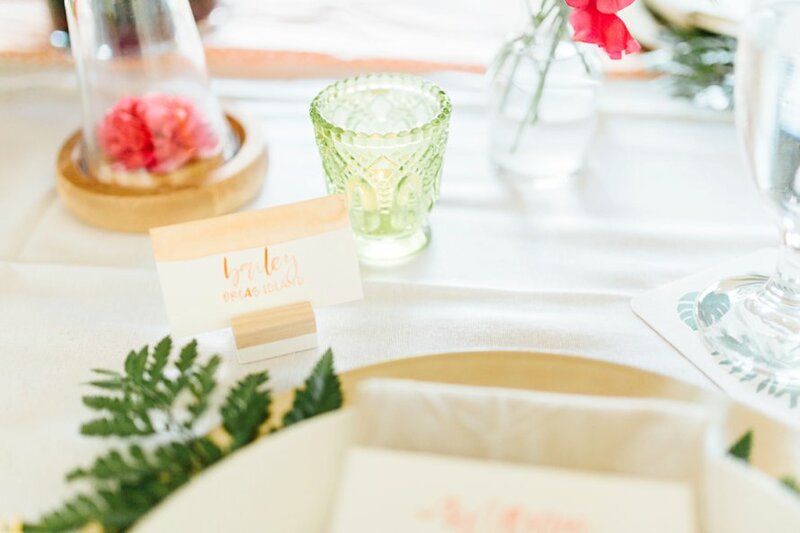 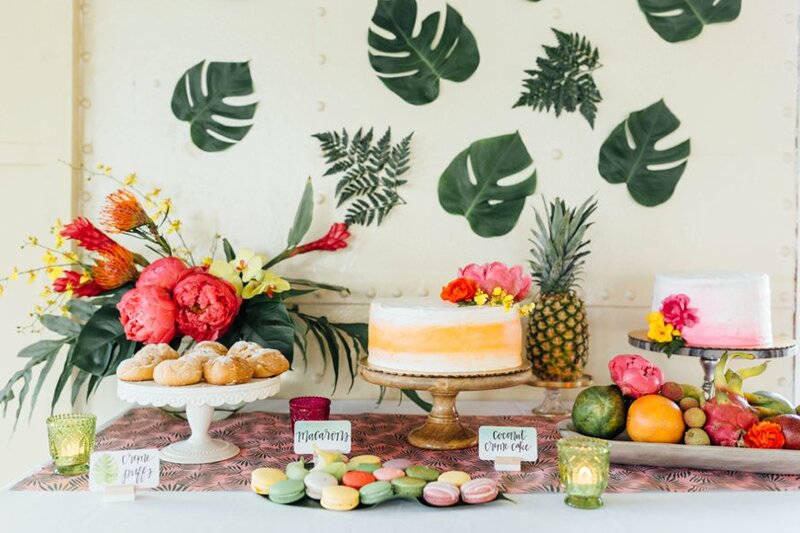 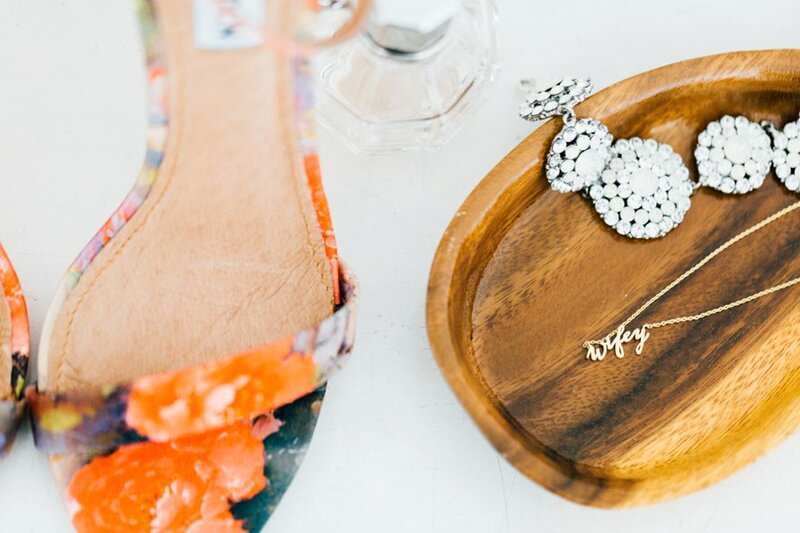 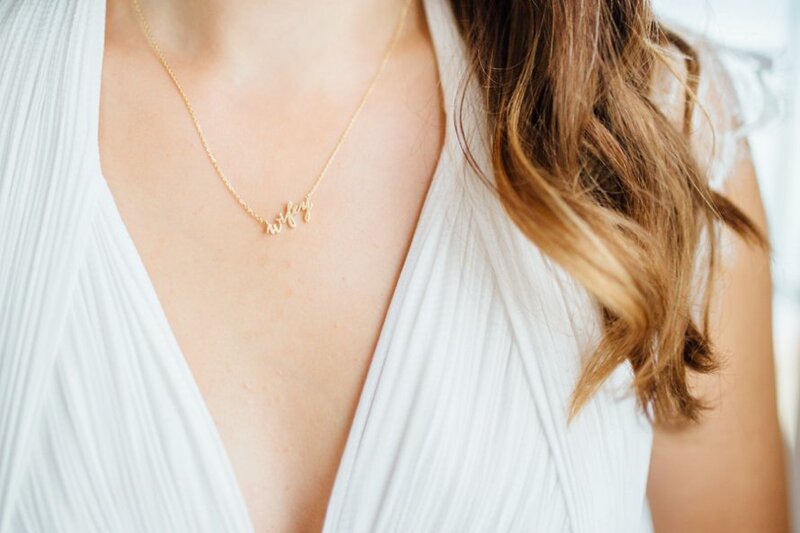 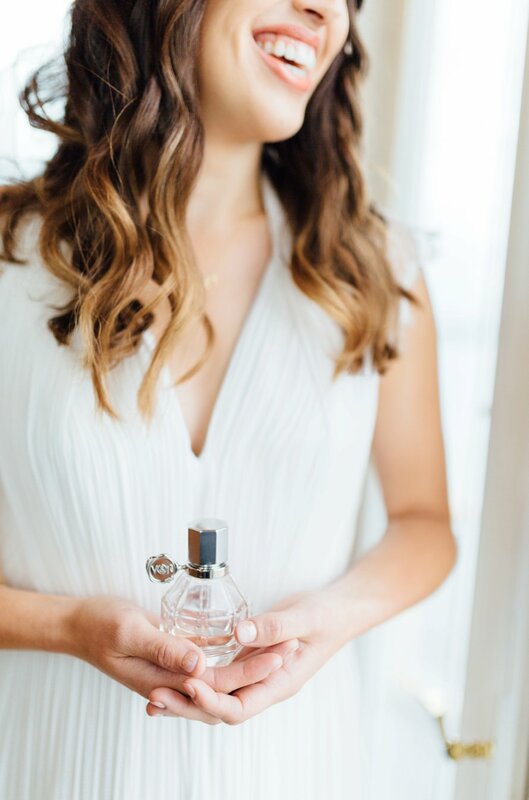 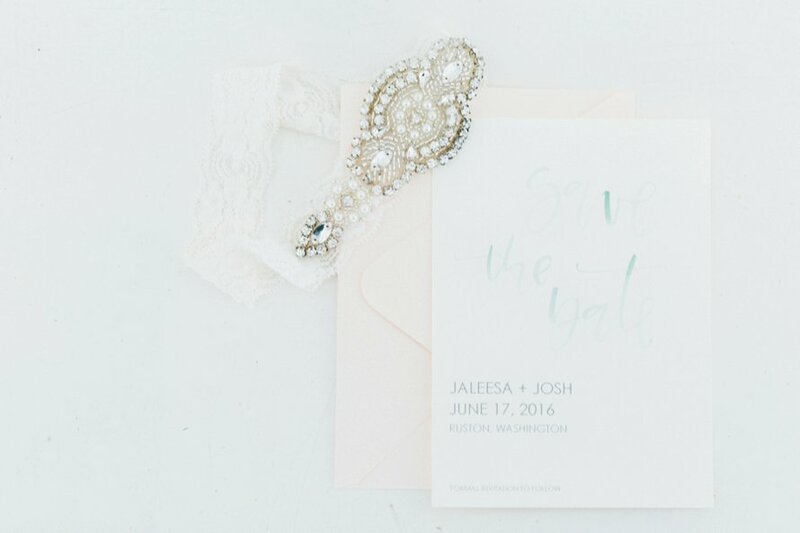 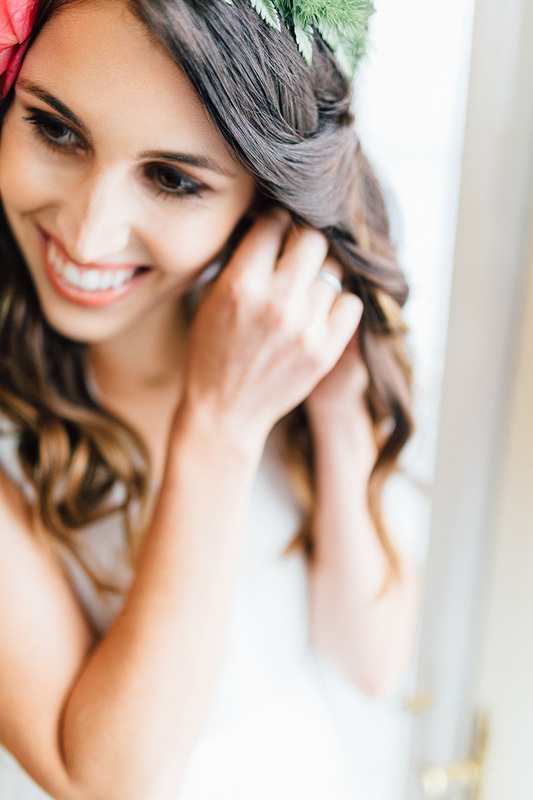 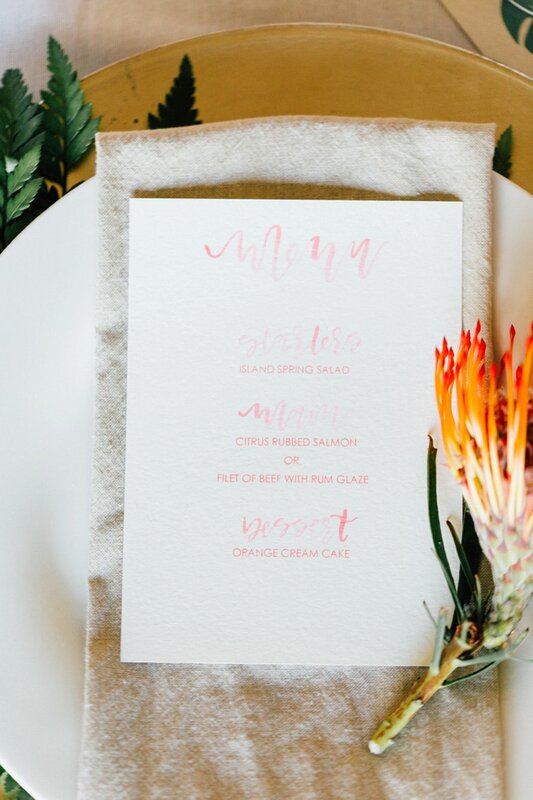 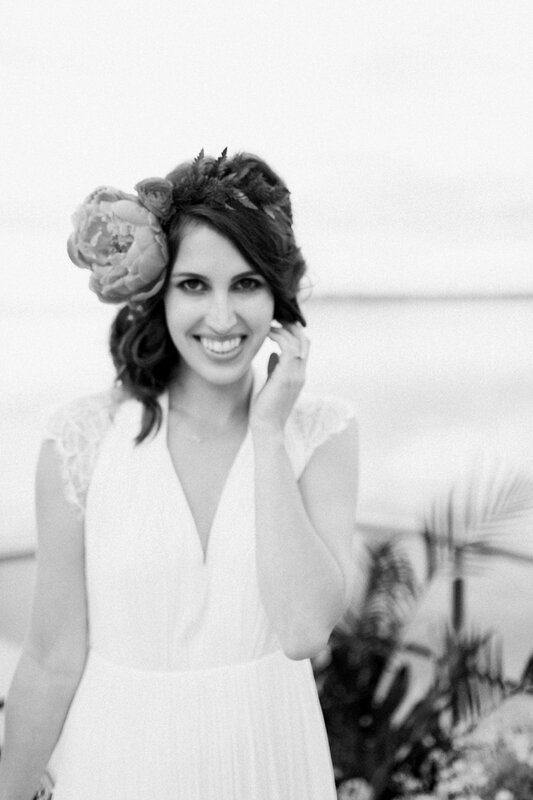 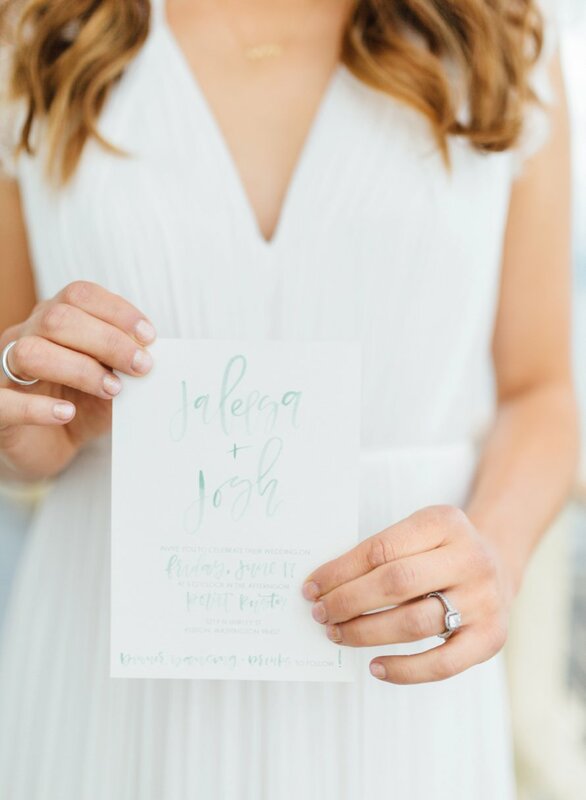 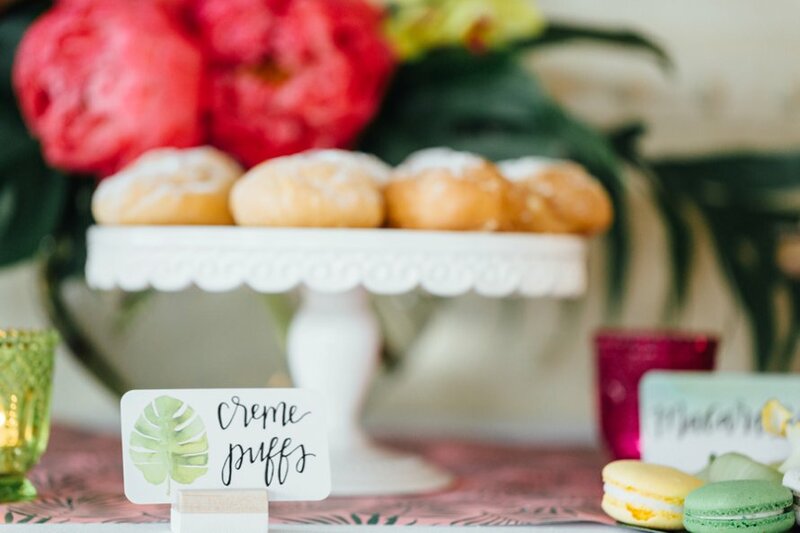 This shoot featured the most darling details, from watercolored cakes to gold decor & hand lettered everything! 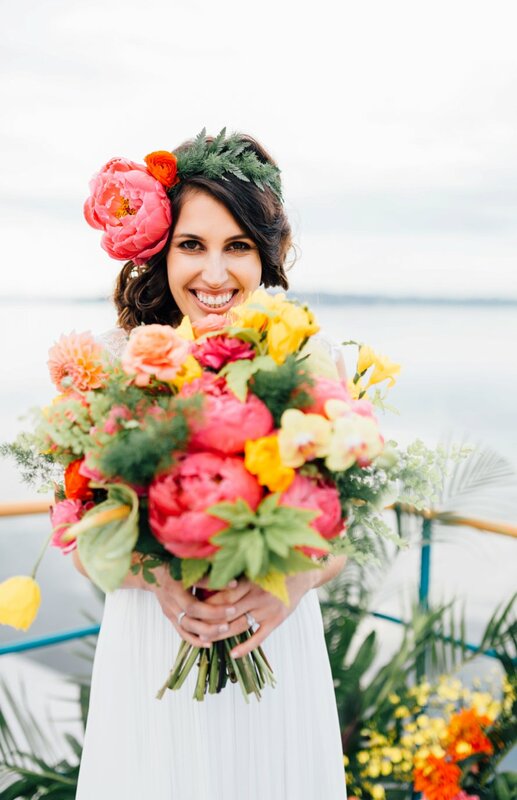 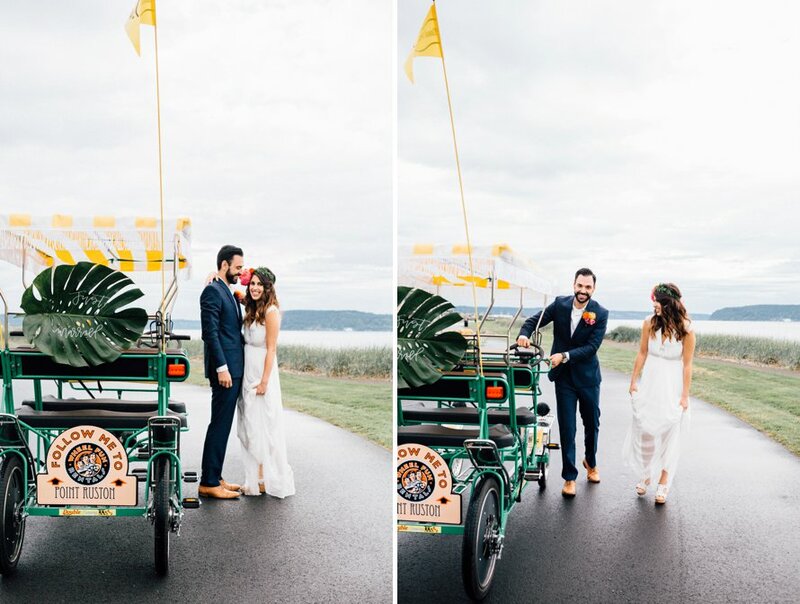 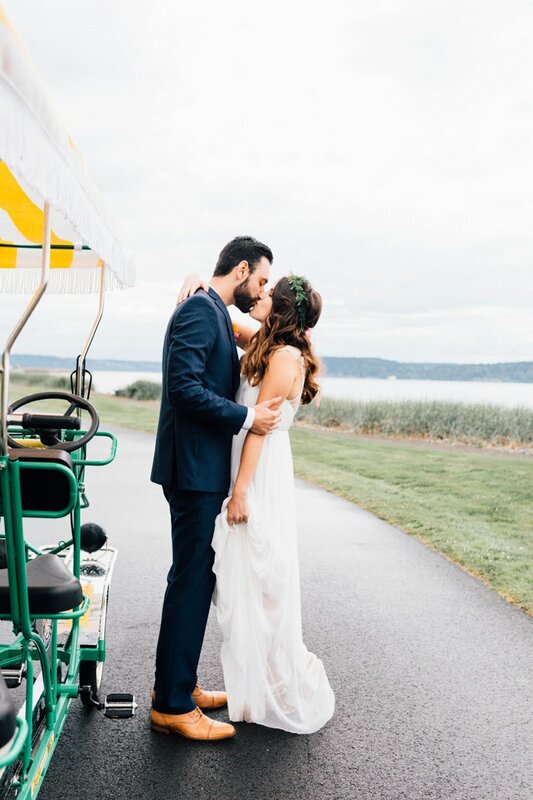 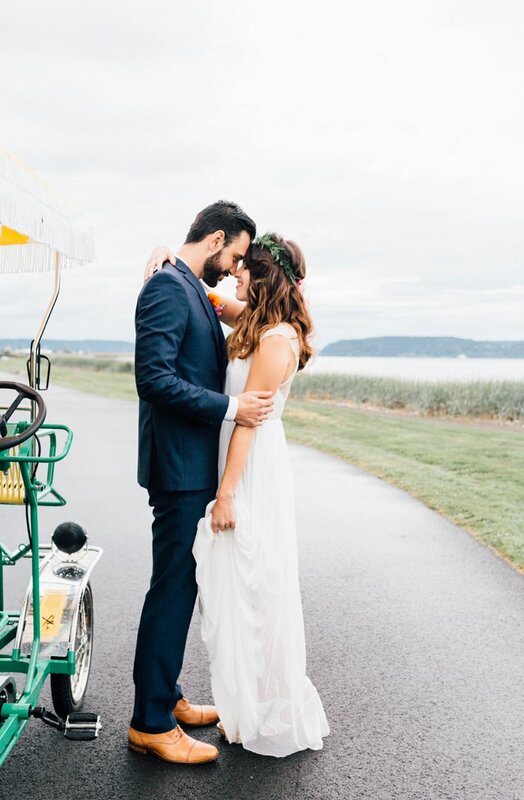 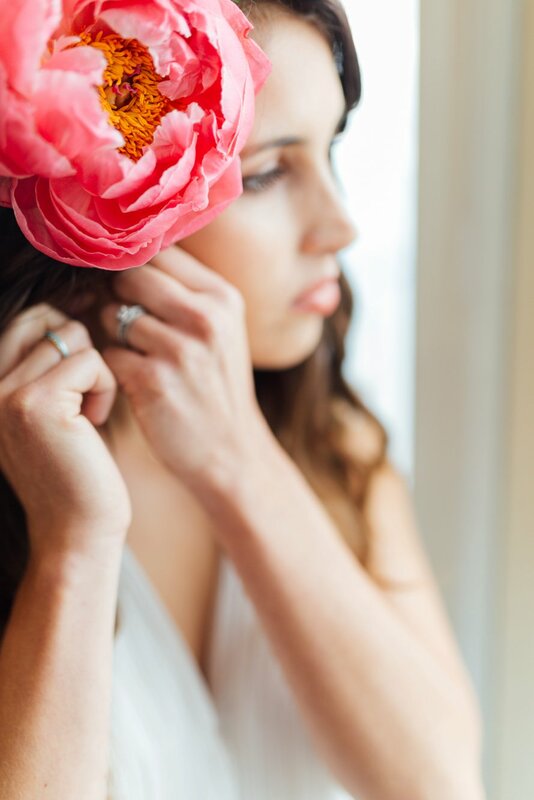 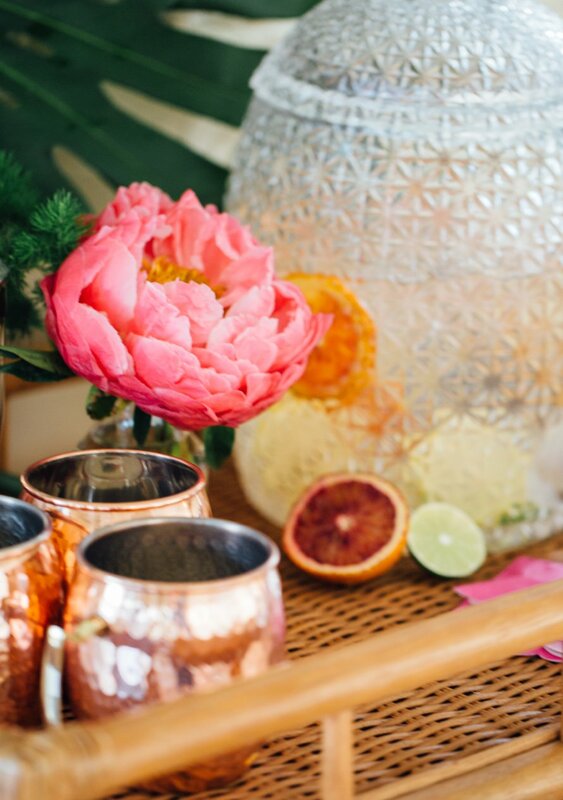 Oh, just wait until you see these blooms and the getaway surrey! 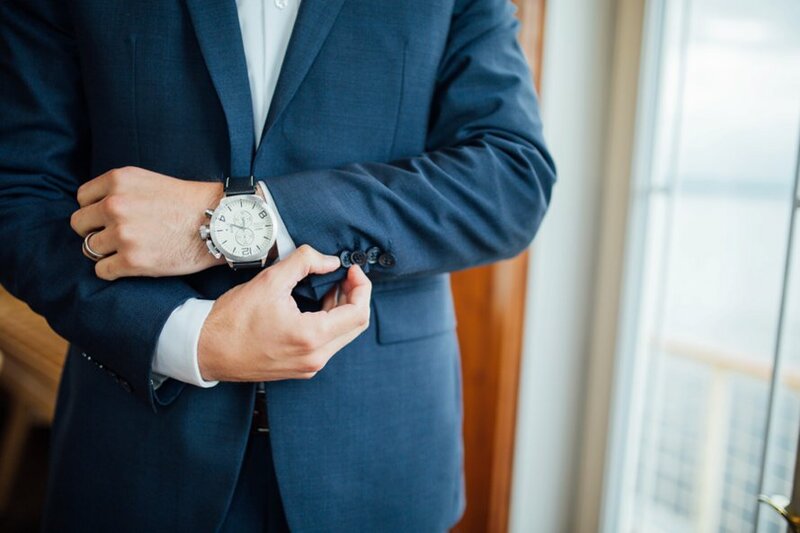 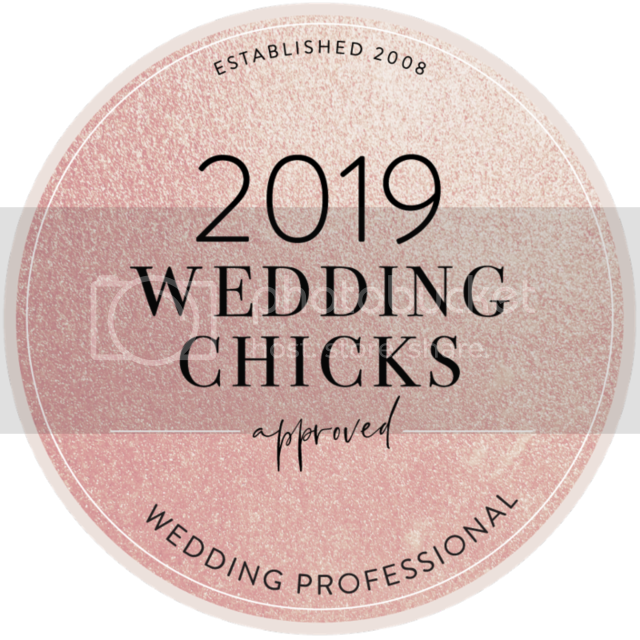 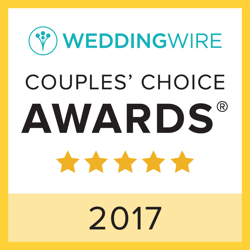 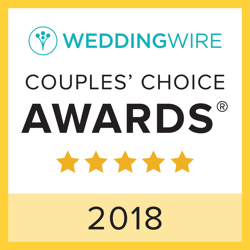 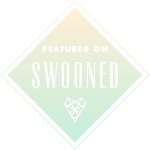 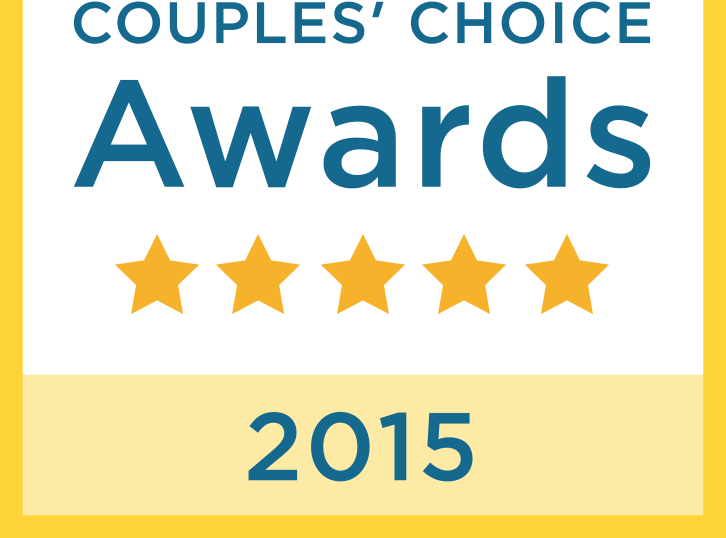 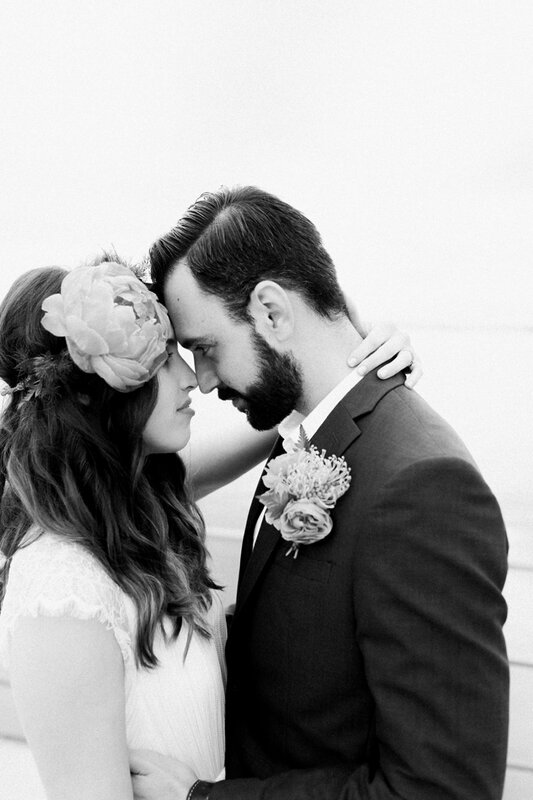 The vendors listed below were simply amazing to work with!